This week we have challenged ourselves with spaghetti sticks and marshmellows to try and make a construction, made telescopes and treasure maps and worked on our sharing skills in the malleable area. 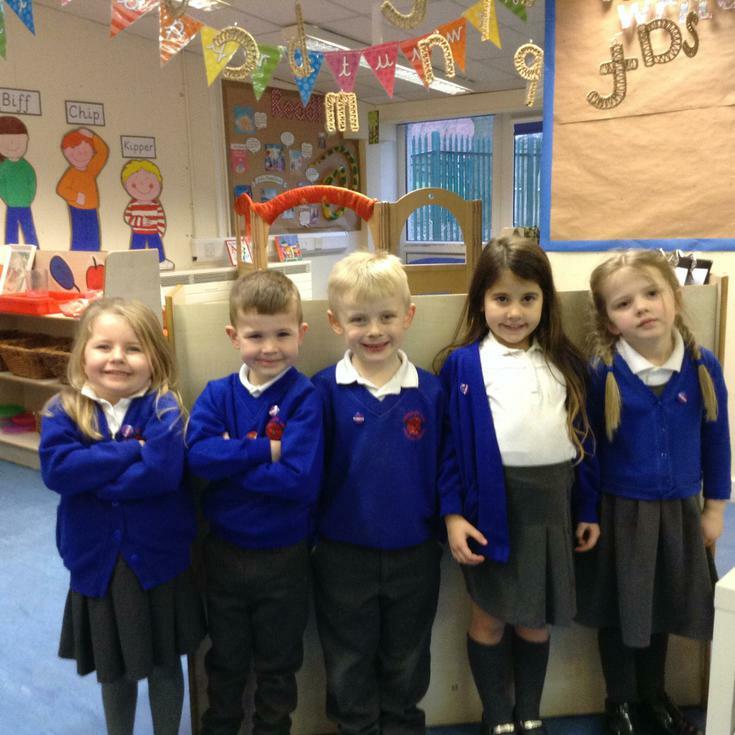 We are very proud of the children this week for sitting beautifully in assembly which shows how much progress they have made. 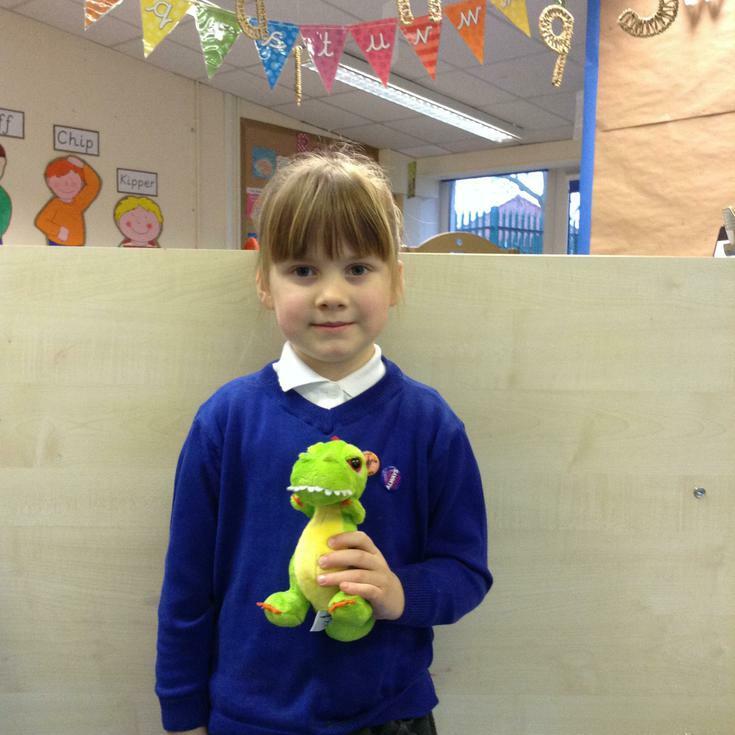 We also very proud of how many children have been doing all of their challenges again this week! We hope you have a nice rest this weekend, ready for a busy week next week! This week has been super hot but that hasn't stopped us! 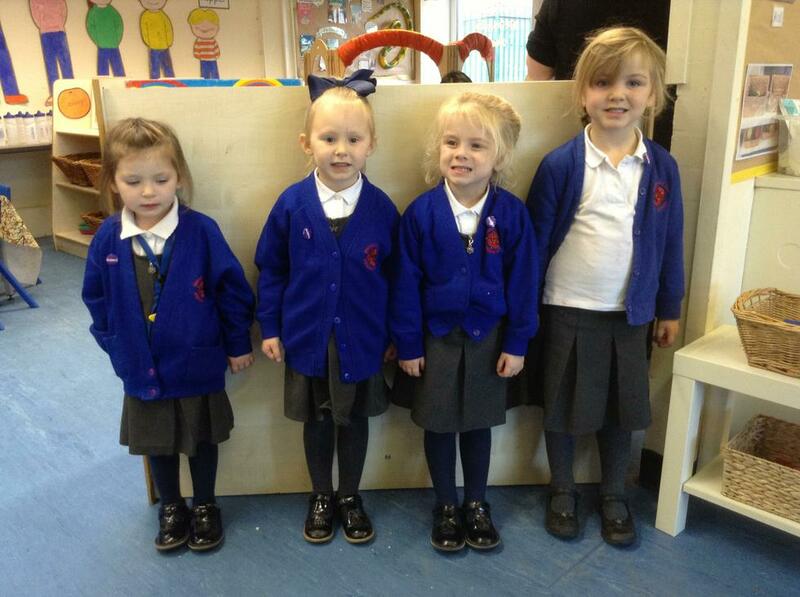 A massive well done to Nursery for going to their first ever whole school assembly! We have been exploring numerals in the water tray, working on our football skills by dribbling a ball in and out of cones, comparing distances by rolling cars down a ramp, completing a really tricky jigsaw and painting rainbow fish! We are so proud to announce that all the children in BOTH Nursery and Reception completed their challenges so we all had a treat! What a fantastic week. We have developed our play skills by being a goal keeper and trying to save 5 goals, working on our aim by throwing beanbags into buckets, discovering which shapes we could see inside a football stadium, designing football t-shirts and looking at maps to find our team's country. The children have really worked hard to remember which country they will be learning about and thank you very much for all the hard work put into the potato heads, they are looking fabulous! We kicked off the week with a world cup draw and children were buddied up to support, explore and learn about their selected county. We have embraced the football feel with our very own football net, tasting our target skills. We have been creative with our buddy and made our county's flag, exploring money in our toy shop and we have been diagraph detectives. A massive thank you to those who brought in their potato heads, just before the end of the world cup there will be a competition and a winner from Nursery and Reception will win a prize. 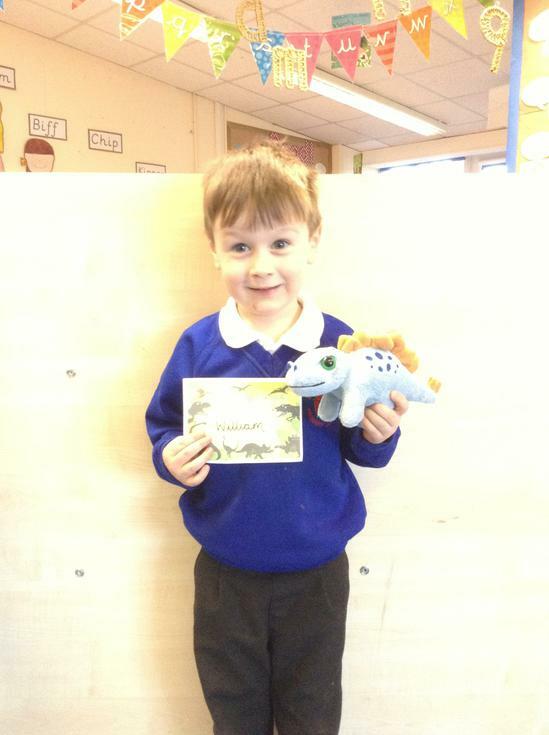 A MASSIVE well done to the children that have completed all of the 100 keywords! 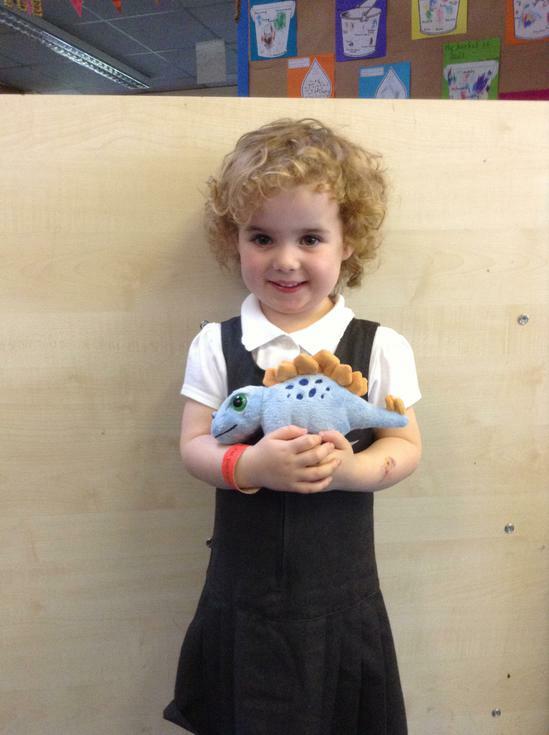 Welcome back from the summer half term we hope you have had a nice rest. 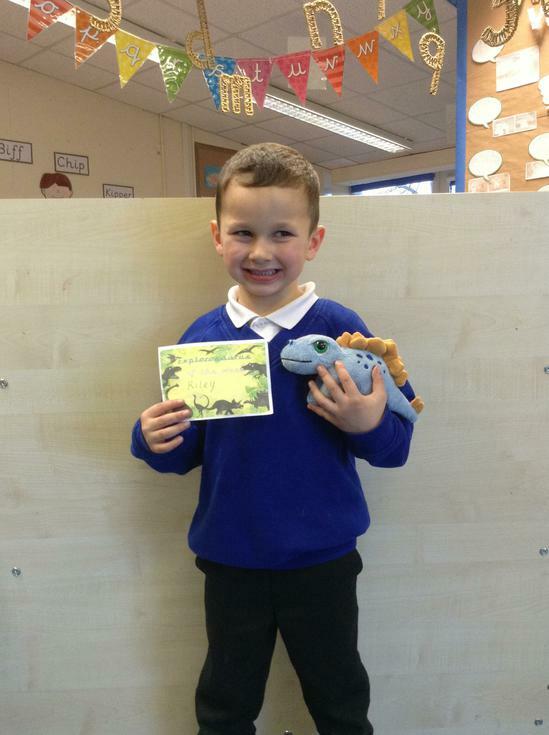 Firstly we would like to say a massive well done and thank those that worked so hard on the homework set. We have really enjoyed sharing all of the work and learnt so much and you will find the masterpieces displayed in the cloakroom. 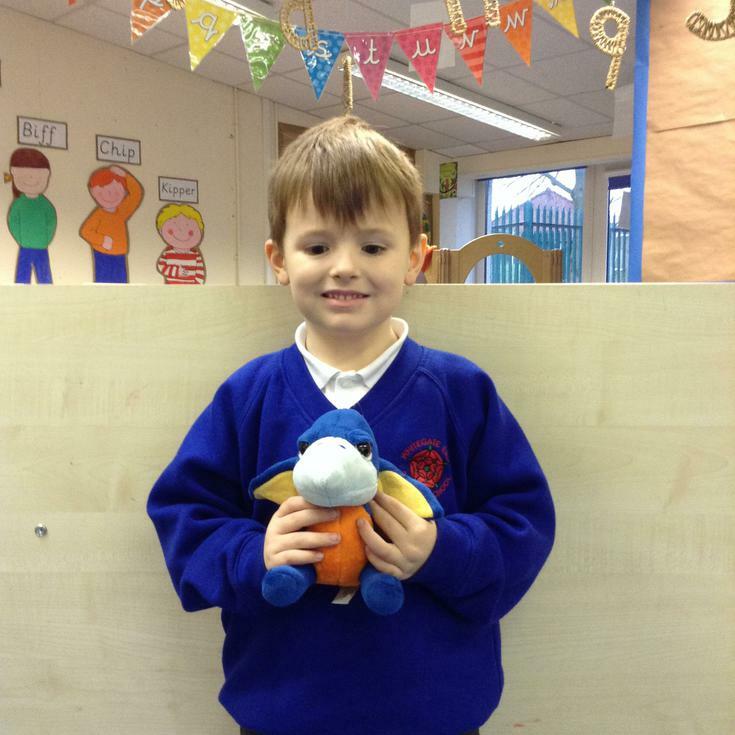 This week we started our topic 'where will we go today?'. We have dipped our toes in 'beach' water, explored travel and money, made and wrote instructions to build a sandcastle and kept ourselves safe in the bike area with red, orange and green traffic control signs. 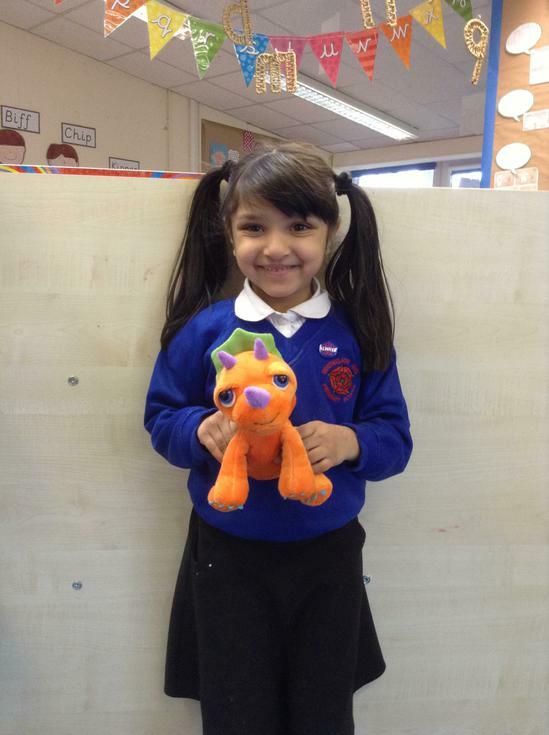 The children have done fantastic in their challenges this week, lets keep up the great work! 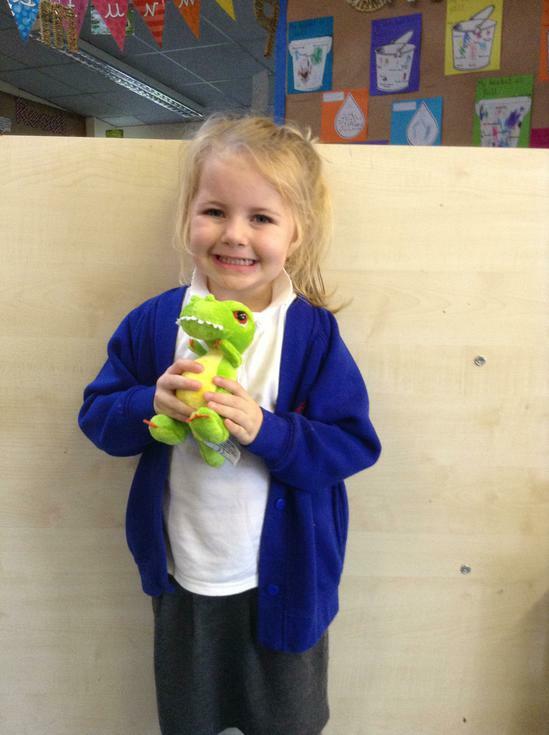 We would also like to say a MASSIVE well done to Isabella who has completed all of the 100 keywords! 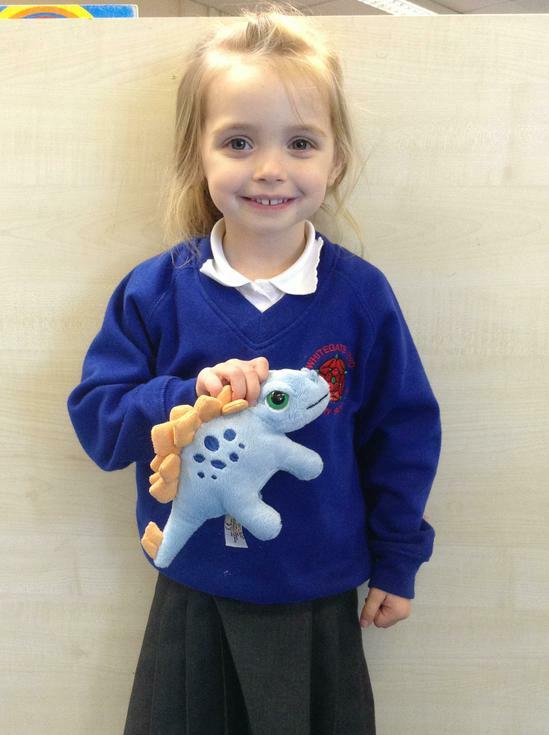 We would also like to say a MASSIVE well done to the children that have completed all of the 100 keywords! Yum.. This week we have been making and tasting bread, inspired by the story of The Red Hen. The children have design and created bird nests and have been developing their physical skills by planting seeds in the sand area. We have also explored our understanding of the world through expanding our knowledge of people and communities. We have learnt about Ramadan, prayer mats, special clothing and even tasted some dates! 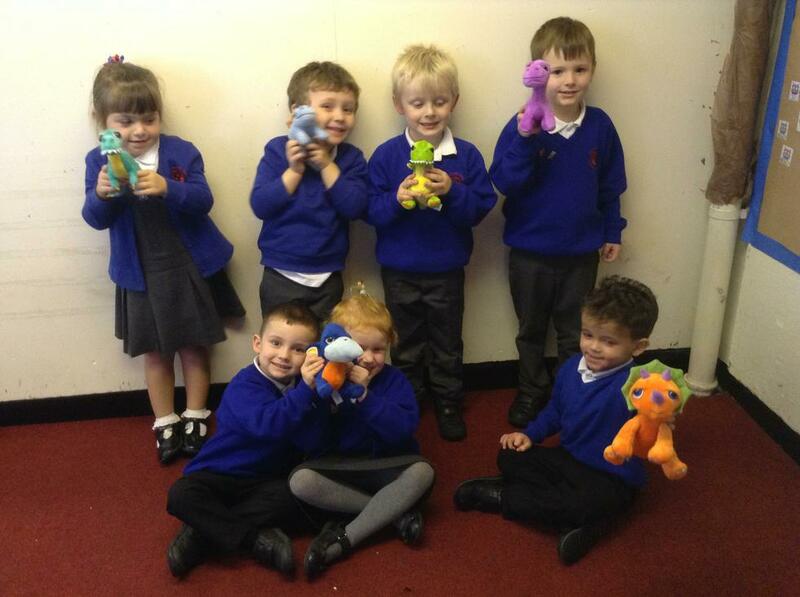 This week Reception have been treated as they have ALL completed their Rainbow Challenges, Well Done! Our learning this week has taken a journey into the woods with Golidocks and the Three Bears. We have invigorated our senses tasting sweet, salty and lumpy porridge, using our wide vocabulary to describe its taste and texture. We have further developed our cutting skills with an activity to disguise grandma, made our own Goldilocks' in the Make-It area and been making magic potions using our Maths Skills. They shoot, they score... Early years have really enjoyed aiming for outdoor targets squirty bottles filled with water! Also, we enhanced our indoor water area with white paint and gloves so the children could use their physical skills to 'milk the three billy goats'. Construction has been super busy with everyone building sturdy bridges across the river. We also focused on story telling with puppets in the sand area and making story bracelets. 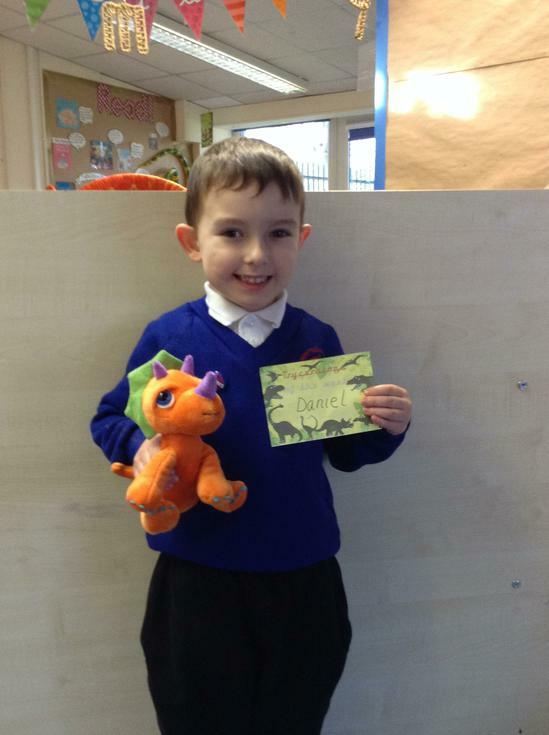 We have been writing again this week and wrote letters to the troll persuading him to let the goats cross the bridge (massive well done to the Reception child who won Writer of the Week during whole school assembly!) Finally, we have been experimenting with time and challenging ourselves to see how many star jumps we can do in 30 seconds! 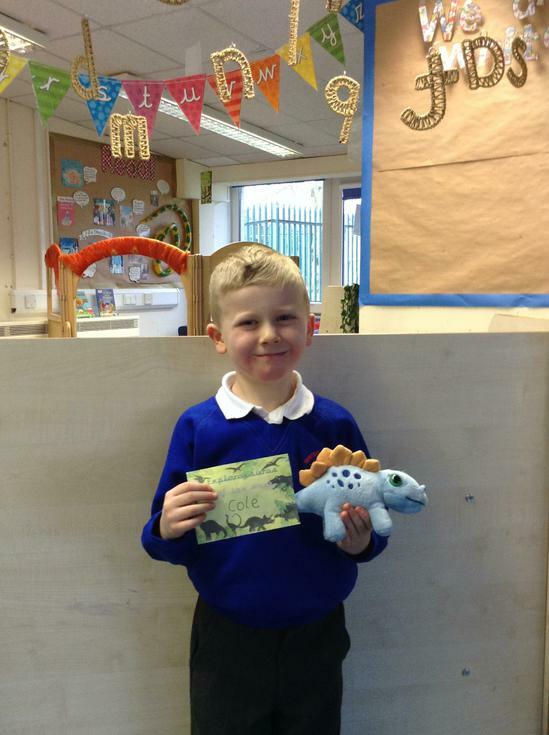 Many children have worked tremendously hard on their challenges and received their Rainbow Challenge Reward Card, please keep encouraging your children to complete theirs for a chance to be entered into the weekly raffle to win a sticker book! 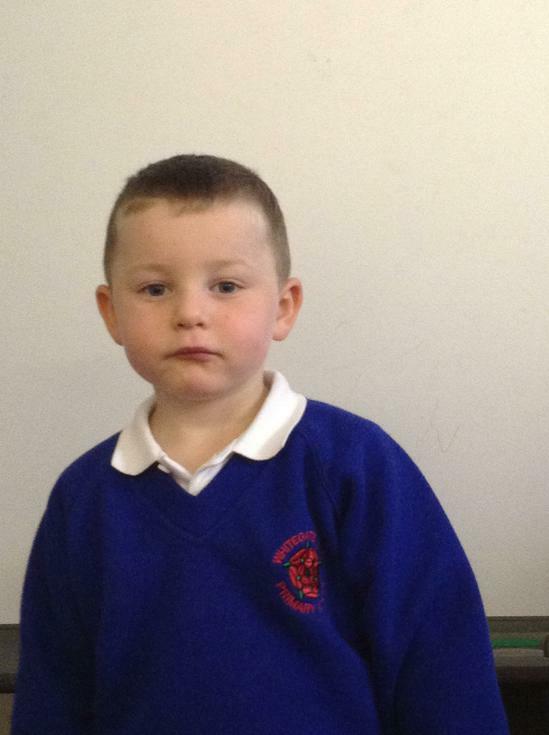 This week we have been watching the children get back into the swing of things to complete their challenges. The theme of Once Upon A Time has spilled into the challenges this week with activities such as pin the tail on the donkey, making house for the three pigs in and weaving a basket for grandma. We have focused many of our activities on Maths this week including ordering numbers and developing our understanding of one more/less. 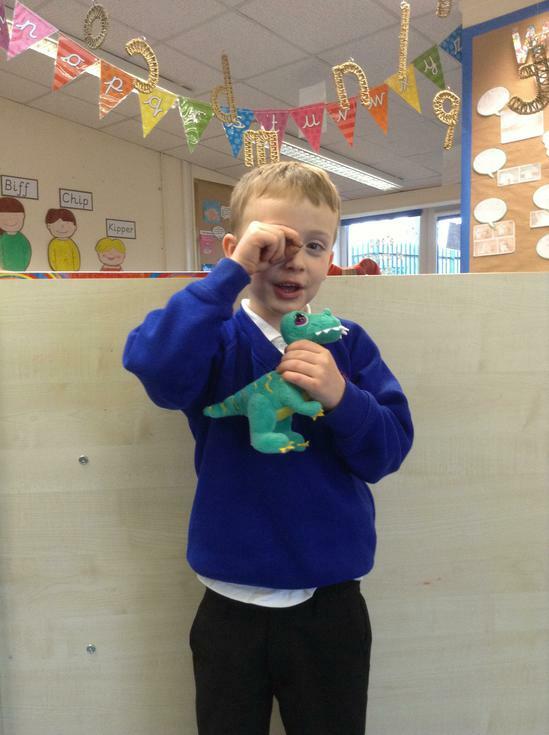 Patrick and Logan were spotted by Miss O'Callaghan and Miss Smith demonstrating ALL of the dinosaurs in ONE task, WOW! We have set the children a challenge to see if anyone else can do this next week! Wow, Summer term has come around so fast! We hope everyone had a lovely Easter break and are ready to explore the exciting things we have planned for this half term. 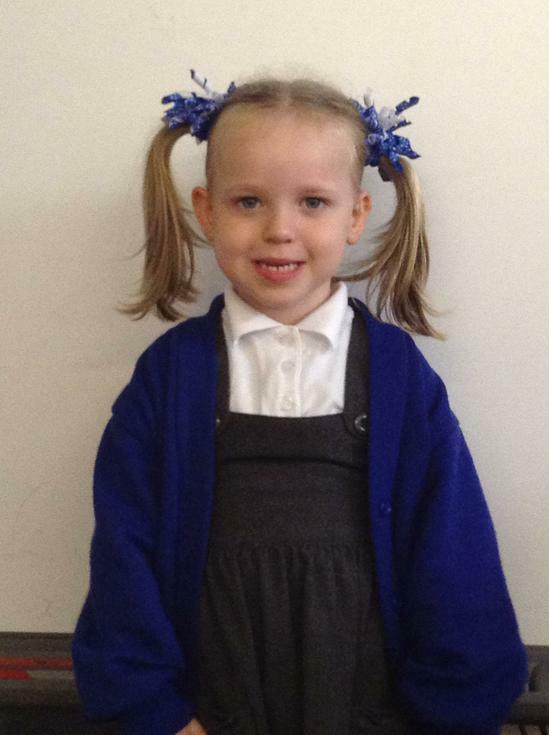 What a great first week back we have had. 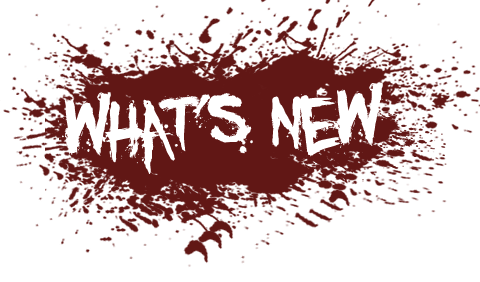 We have introduced new resources in the learning areas this week, therefore, we have not had any Rainbow Challenges but are eager and ready to continue 'reaching for the rainbow' next week! We have kick started out topic 'Once Upon a Time' by introducing the story of the Ugly Duckling. We have explored many of different activities which explain how everyone is different but everyone is special. 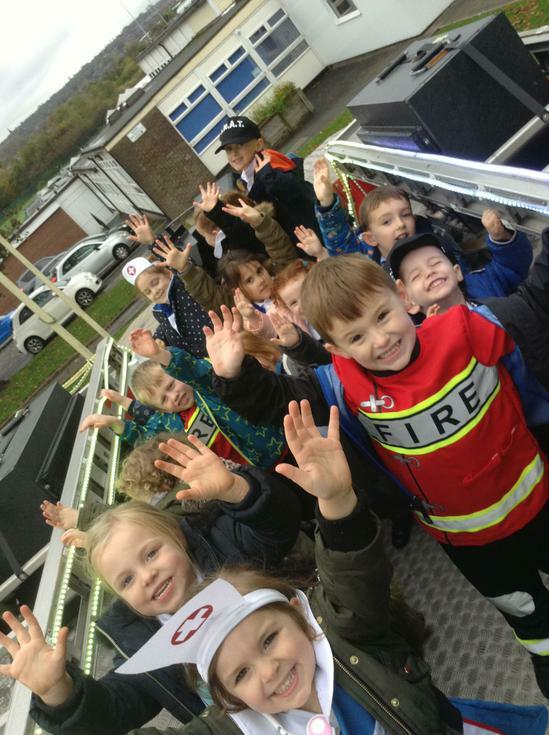 This linked in nicely with our trip to the Education Bus were we learnt all about ourselves, our bodies and how to stay fit and healthy! Finally, after weeks of anticipation we released our beautiful butterflies, keep posted for videos! 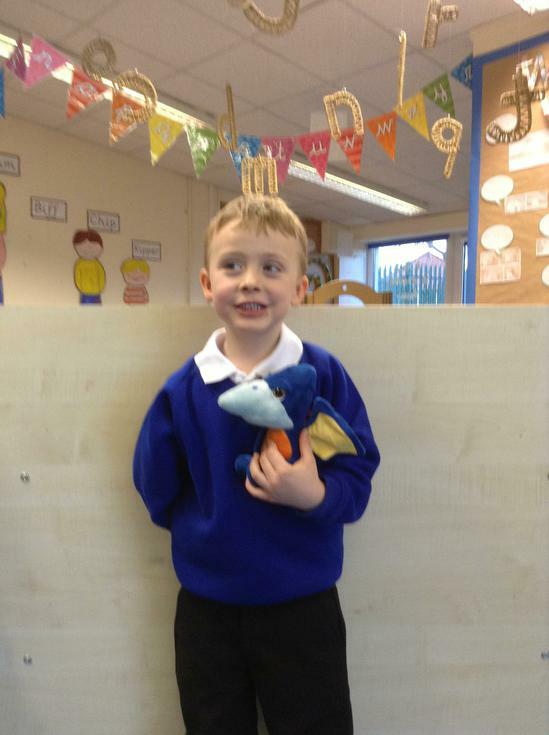 Well done everyone, what a great first week back! This week has been so much fun. 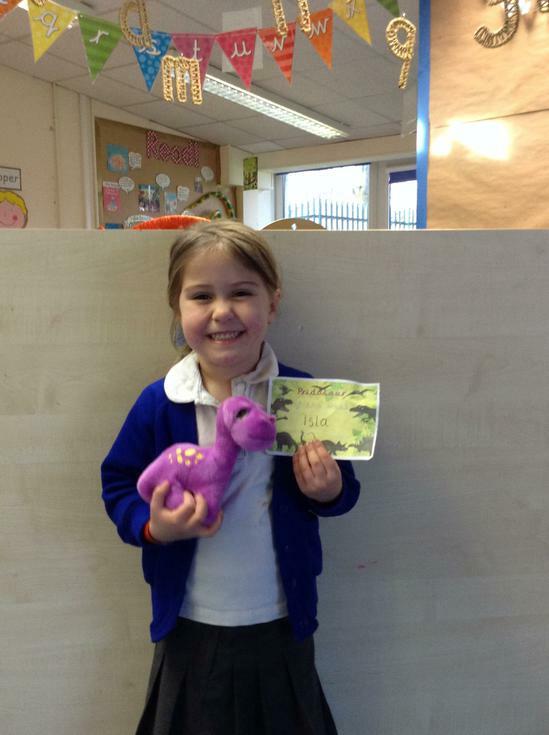 There have been egg-citing things happening around school, discos, competitions and Sports Relief. We are pleased to say that even during a busy week, which has been slightly out of routine, the children have remained focused and worked tremendously hard on their challenges. Well done everyone! This week we have been sieving corn and rice in the water area, exploring large scale writing, counting jelly balls using Numicon, exploring the frog life cycle and we have challenged our physical skills by trying to walk with spaghetti between two plates! In addition to this, we have continued to work on one more/one less, number bonds to ten and phonics! What a week... 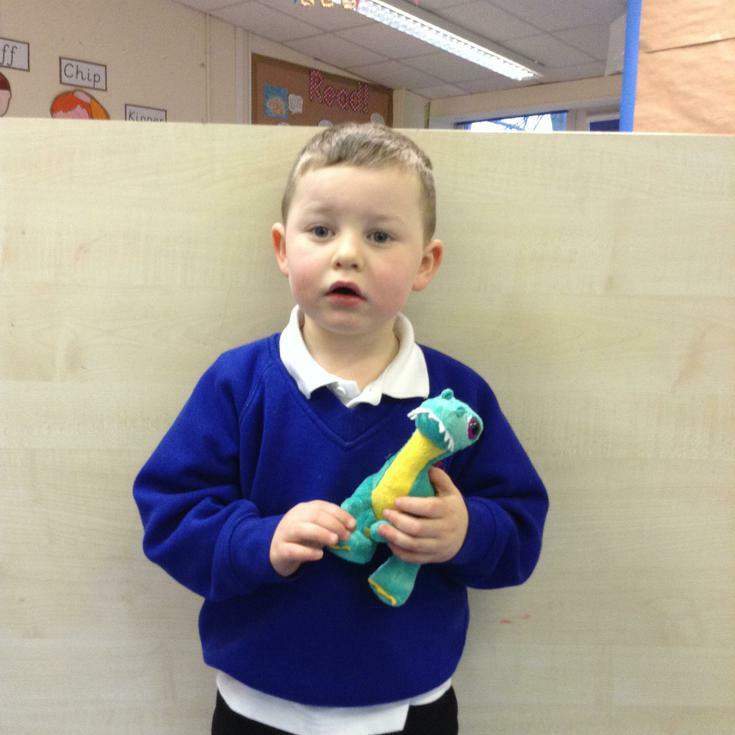 This week everyone really got stuck into their challenges. 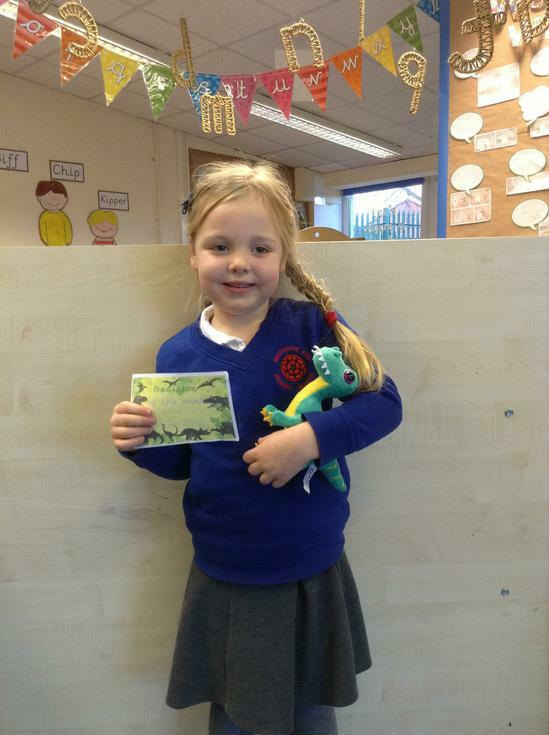 We have continued to work on our topic of 'let it grow' and watched our caterpillars get bigger and bigger. 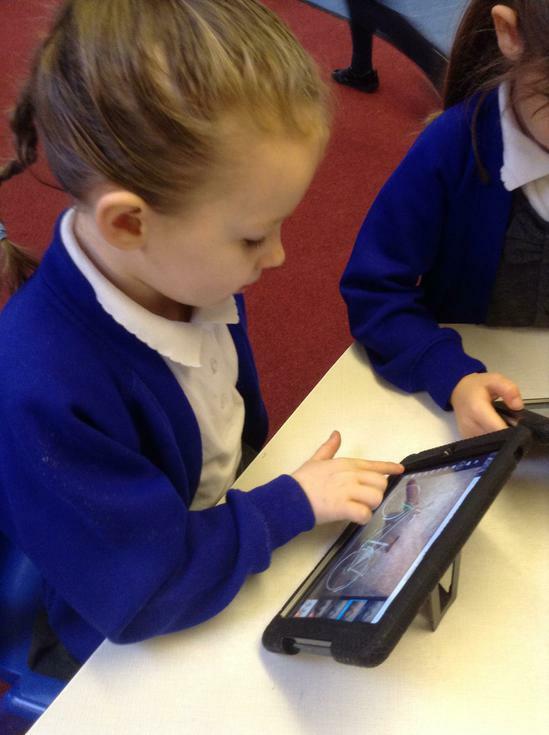 We have done so much this week including observational caterpillar drawings, taking part in vegetable surveys, taking photographs of ourselves and our friends on the Ipads and writing rules on to keep our caterpillars safe. Week 2 followed into week 3 due to the fact the children hadn't had chance to complete their challenges as we were closed for two snow days. 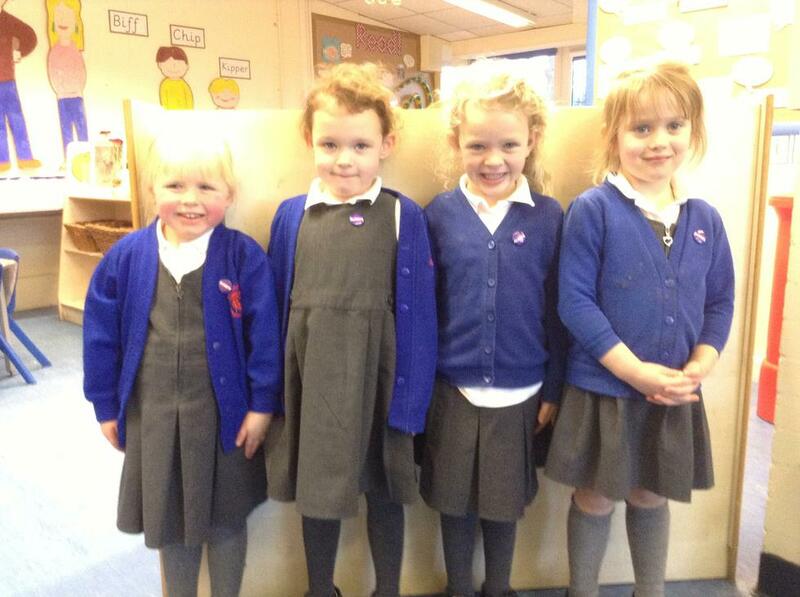 As usual we have been working hard and majority or Nursery and Reception completed their challenges. We have been doing so much this week such as exploring vegetables, large scale mark making outdoors and threading leaves. We are super excited to let you know that REAL caterpillars have arrived in Early Years and we will be taking care of them and watching them grow! 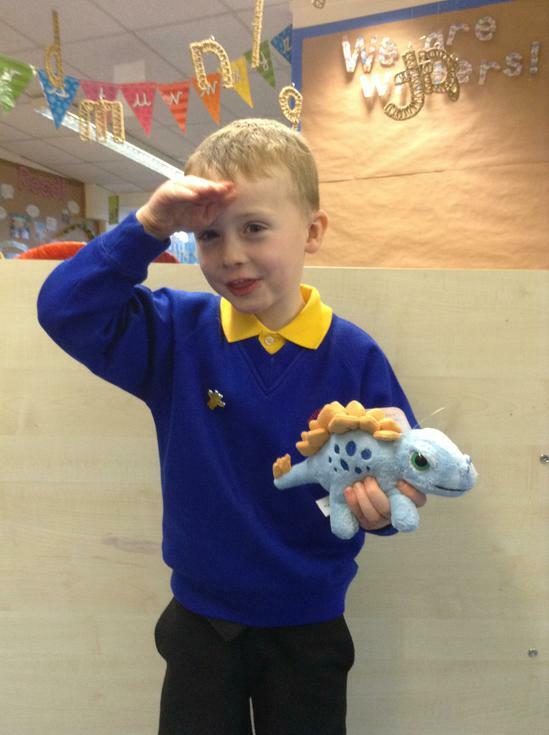 Things have been a little different this week due to the rescheduling of World Book day. 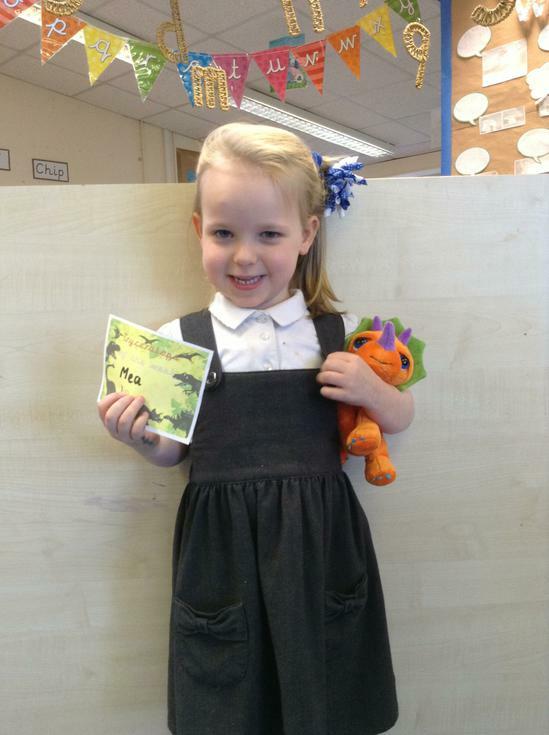 It was great to see everyone taking part and thank you for sharing your lovely books the children really enjoyed it. We would also like to thank those who attended the Early Writing workshop, it was great to see so many faces and we hope you found it useful. 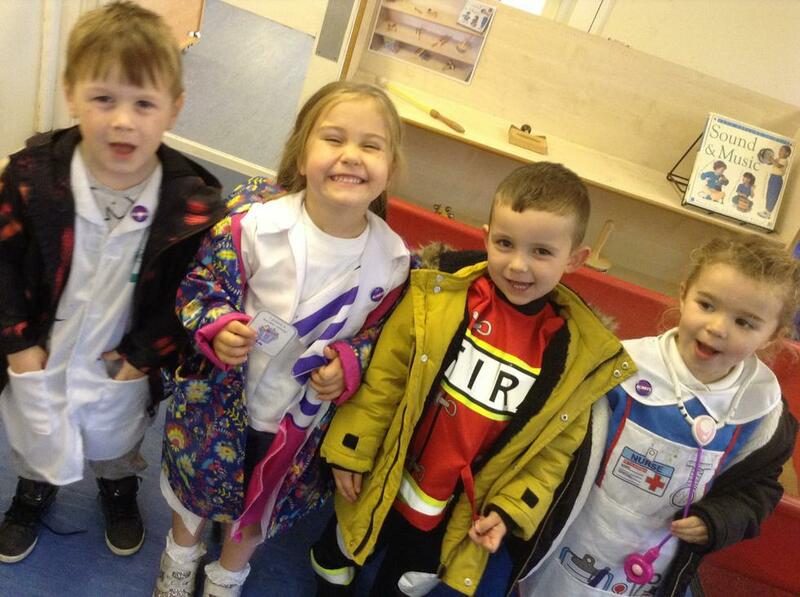 Reception had a blast on Monday with a Rocket workshop. We made our own rockets and went outside to watch them blast off into the sky! We are excited to tell you that we have hit a new record for Rainbow Challenges again... ALL of reception completed ALL of the challenges so they had a Friday treat. 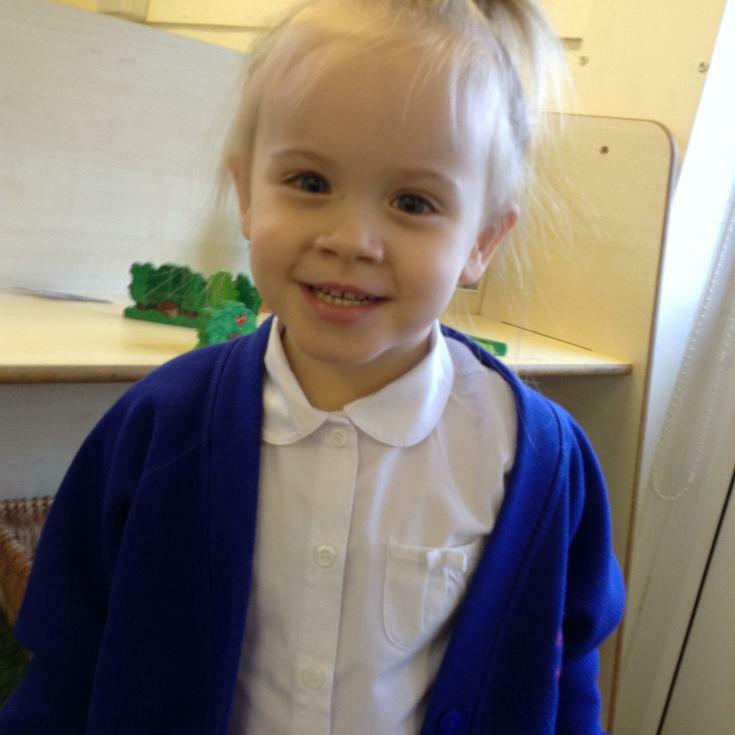 Lets see is Nursery can beat them next week... We have been caterpillar crazy this week; counting caterpillars and matching them to the numeral, creating paper caterpillars in the Make It area, Writing and drawing our favourite food and practising our aim by throwing food into the hungry caterpillars mouth. Phew, that was a busy one! 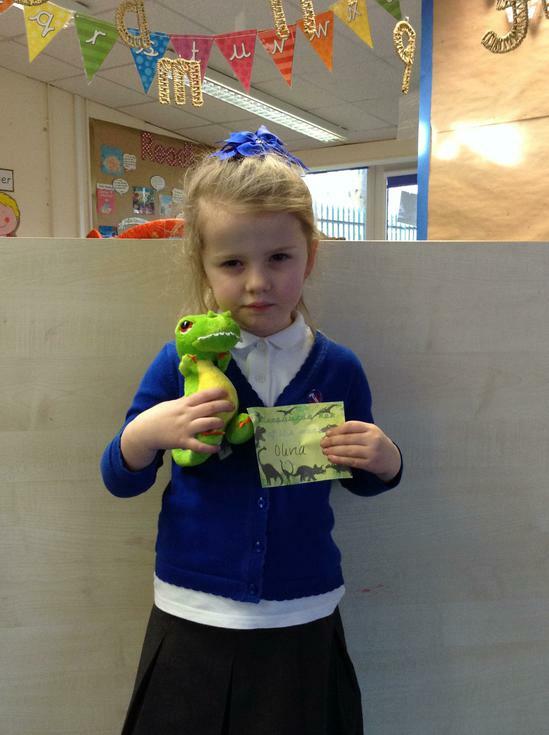 Even more children have completed their challenges this week. We have been searching for coins with metal detectors in the sand area, story sequencing, taking part in questionnaires, measuring moonrocks, writing about our families and we have continued to work really hard in lessons too. 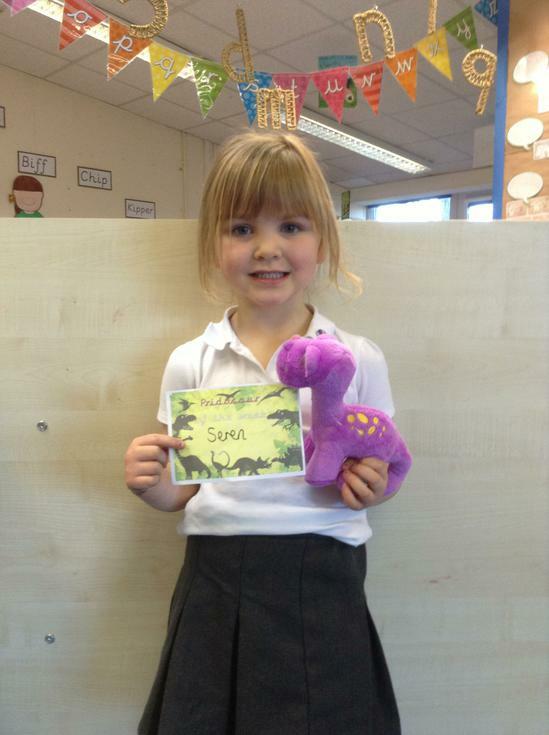 We have noticed a lot of writers this week and it is fab to see so many children using their phonics skills. What a week... It seems the Early Years have been super focused this week. 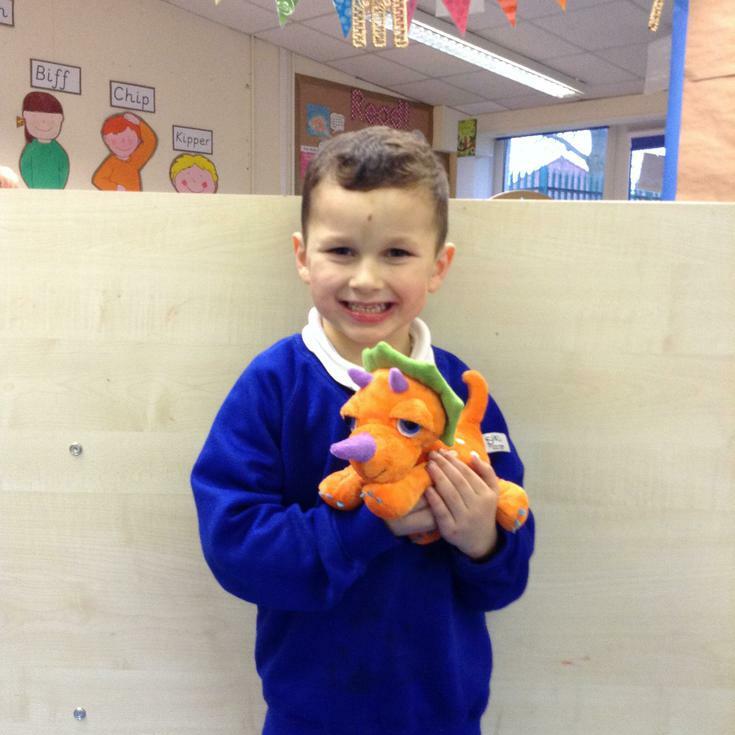 We have had a record amount of children complete all of the Rainbow Challenges. 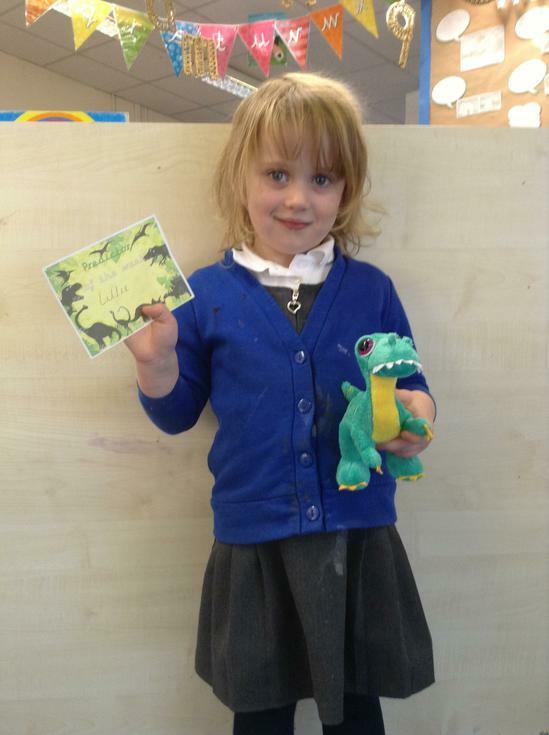 You may have seen a visitor appear in Forest School on Friday for doing so well and everyone completing the green challenge. Well done! We have been making moon biscuits and buns, spaceships and aliens, building rockets and investigating which 3D shapes can roll! 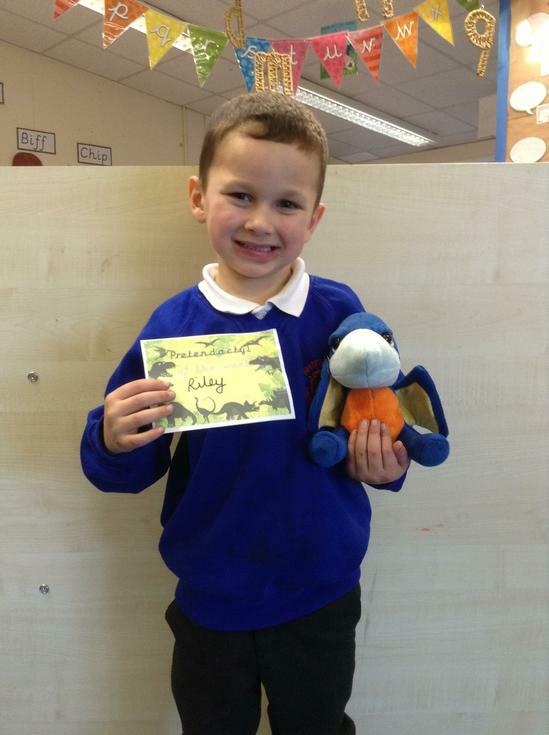 Everyone is working really hard in their phonics sessions it is amazing to see so many practising their spellings at home. We have been talking about gravity... Take a look at our gravity paintings! 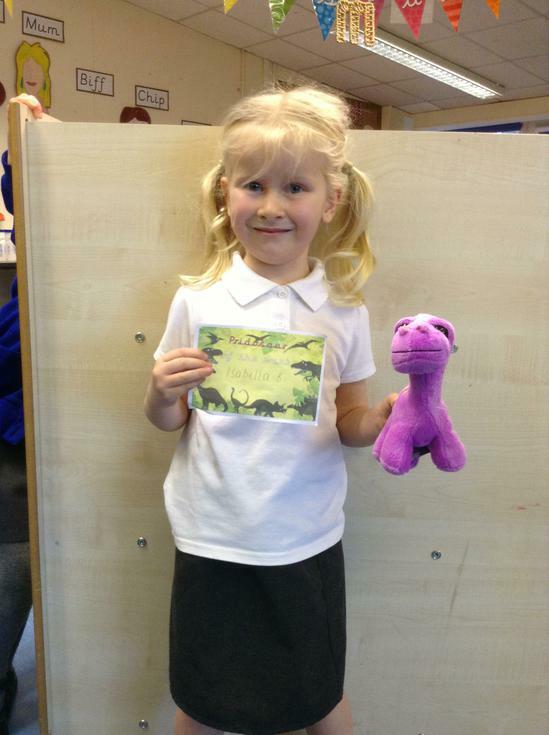 This week we had a letter from an alien introducing this weeks Rainbow Challenges. 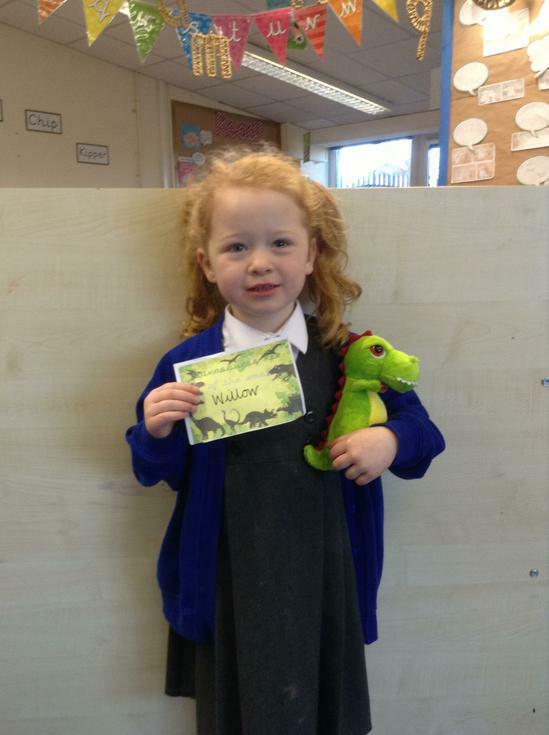 If ALL of the Early Years children completed the green challenge an alien would make an appearance. 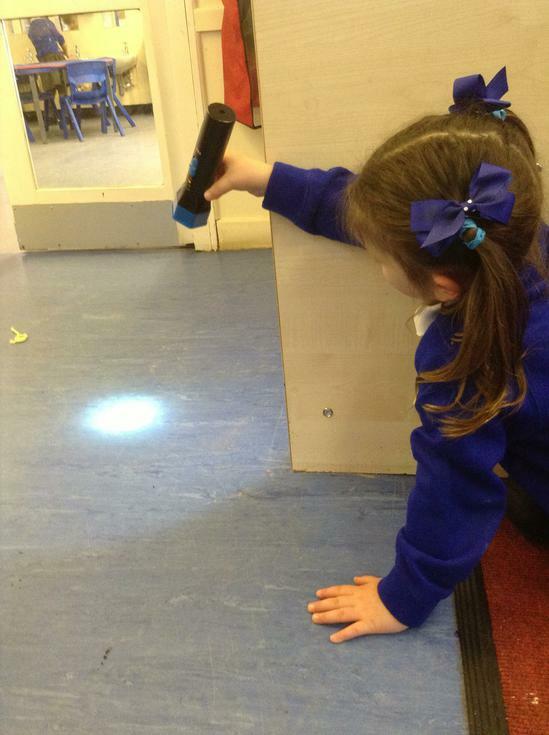 The children worked very hard and on Friday we discovered an alien peeping out from the red house! 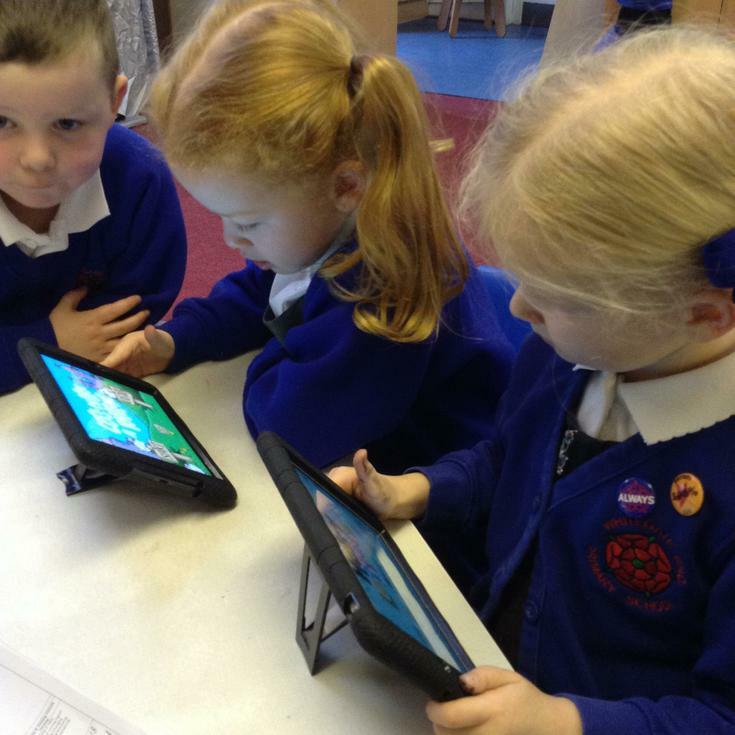 The challenges were exciting this week, we went on an alien hunt to find the different aliens that were hiding, we were size ordering and Beebot programming, we had a massive game of Alien Tig, counted alien jelly balls and did some fantastic writing focused on the story Whatever Next. As the countdown to Christmas begins we are super busy making calendars and Christmas cards to take home. On Thursday morning we will be hosting an Early Years Christmas Party which will include snacks, dancing, games and a Christmas movie. Due to finishing on Thursday there will be no celebration assembly this week. 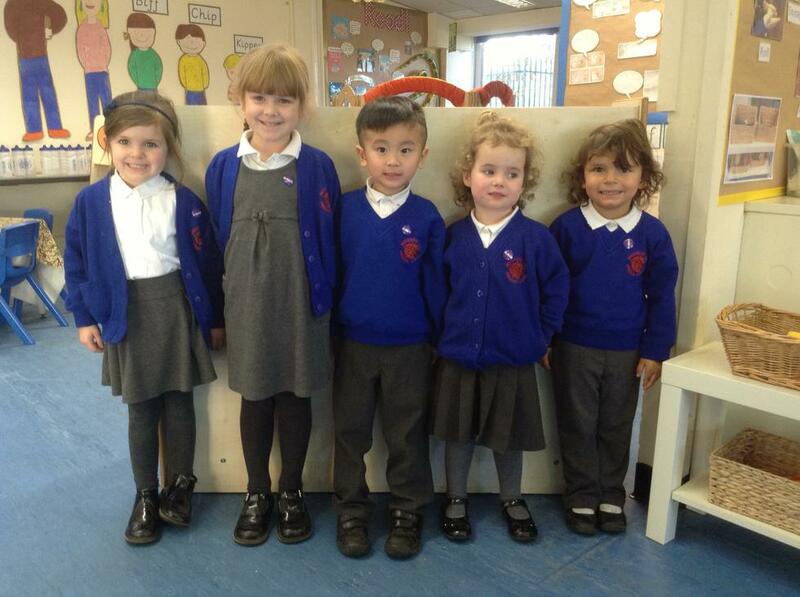 What a great term we have had and we look forward to seeing you in the new year. The Early Years team would like to wish you a wonderful Christmas! Lights, camera and action! This we was finally performance week. Early Years did an amazing on stage and it was great to see so many people come to support the children. We want to say a massive thank you for all of the effort that went into costumes, we are sure that you will agree that everyone looked the part! This week we have been mathematicians and completed many challenges such as, making arrangements with shapes and blocks, balancing and positioning them to create pictures. We used clipboards to tally how many boys and girls are within the unit. We were excited to solve mathematical problems by ordering number trees and matching numeral to quantity. We also used a variety of tubs to estimate which one contained the most water. Busy busy busy... 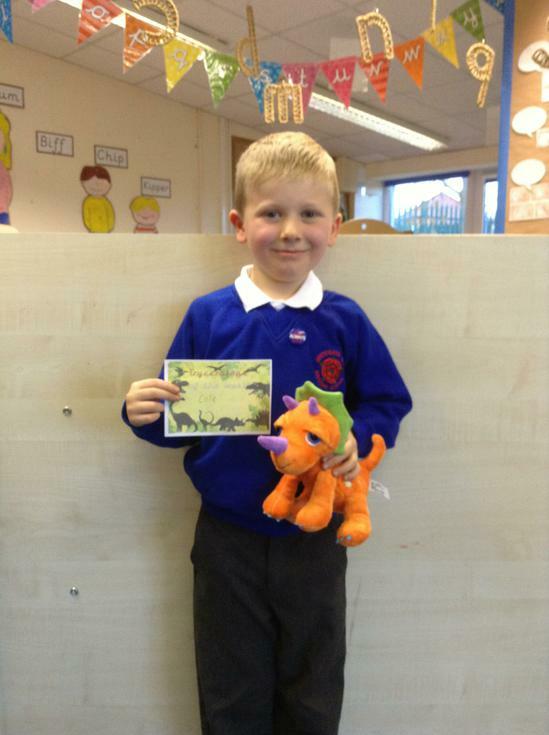 This week we had another fantastic week completing our challenges. We would like to thank you for your ongoing support by encouraging your children to 'reach for the rainbow' by earning their coloured lolly sticks. The children have been busy with many challenges such as matching numerals and exploring number bonds in the sand, developing their physical skills with a throwing challenge and been making bird feeders to keep the wildlife healthy during the winter months. We also has our first dress rehearsal this week which went fab! What a great week! Everyone has been working so hard to to remember all the song words and lines for the Christmas performance. Many thanks for all your continued support with costumes. 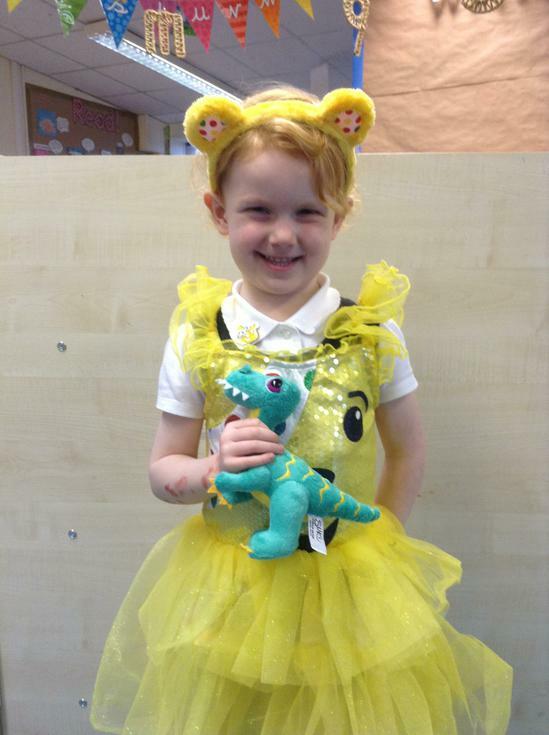 Remember, Friday 8th we will be having a dress rehearsal so please ensure children come in their costumes with their school uniform in a bag. This week we have really encouraged children to earn their rainbow lolly sticks and we are super proud of the amount of children that did. We have been working on many things this week including positional language, self care (dressing life size dolls), threading straws onto string to make pattern bracelets, we made polar bears and penguins and arranged 2D shapes to create pictures. 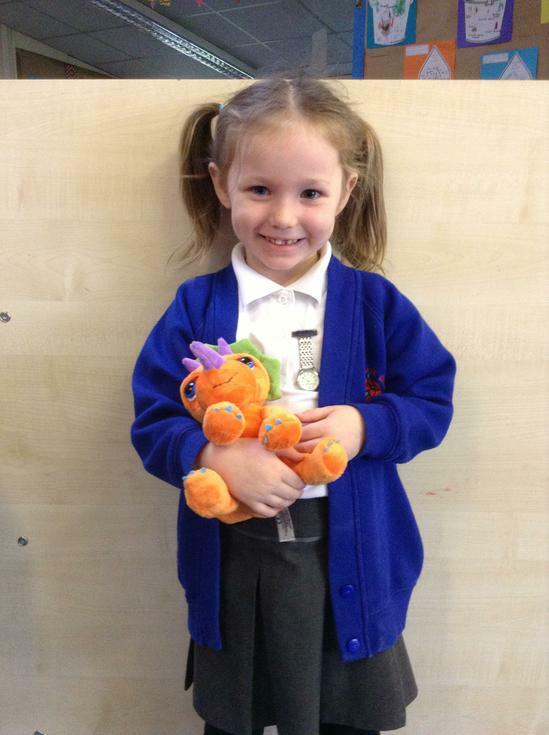 Also, all of the children that completed their Rainbow Challenges were entered into a prize draw. 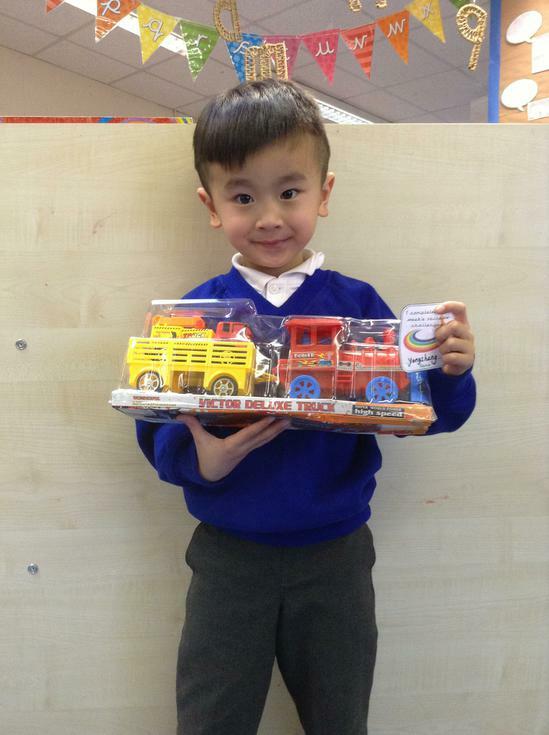 A massive well done to Yongsheng who won this weeks draw! 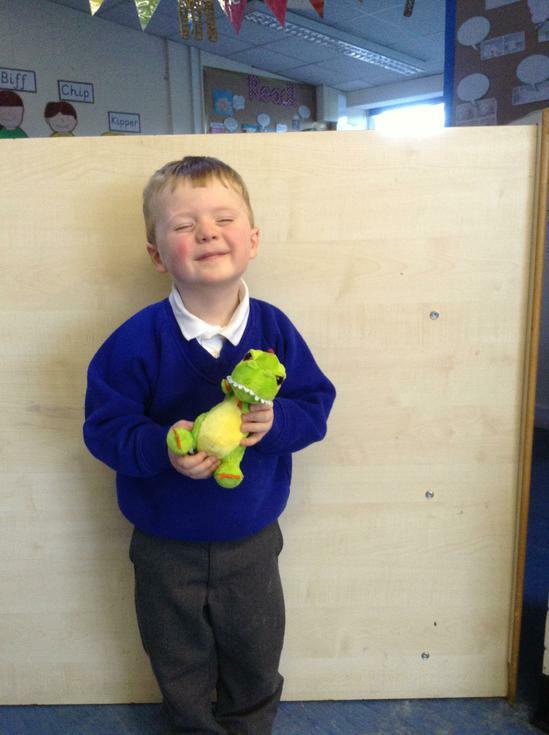 We are super excited have started to practise our Christmas performance songs this week. It is tricky to learn all of the words AND the actions but everyone is trying very hard! 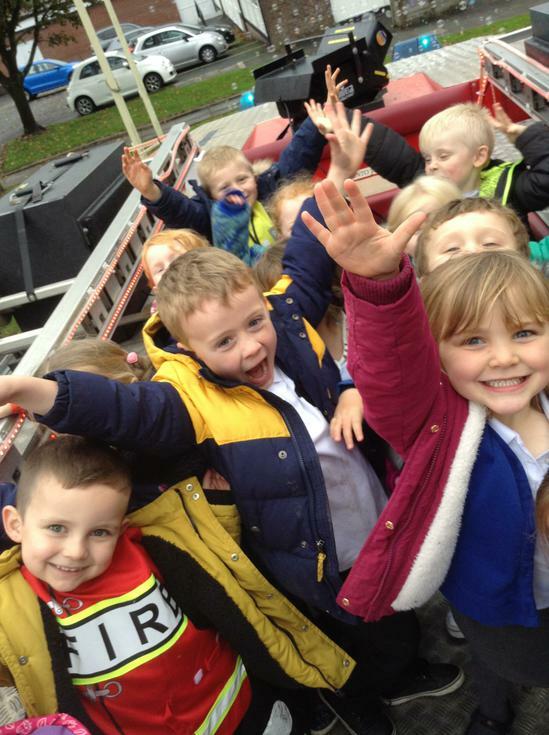 This week Early Years was taken over for a day by some year 5 pupils. The year 5 'teachers' read a story and did a number task with the children which was so much fun! We also spent the week busy reaching for the rainbow. The challenges included estimating marsh mellows, building a snowman and finding treasure in the sandpit! 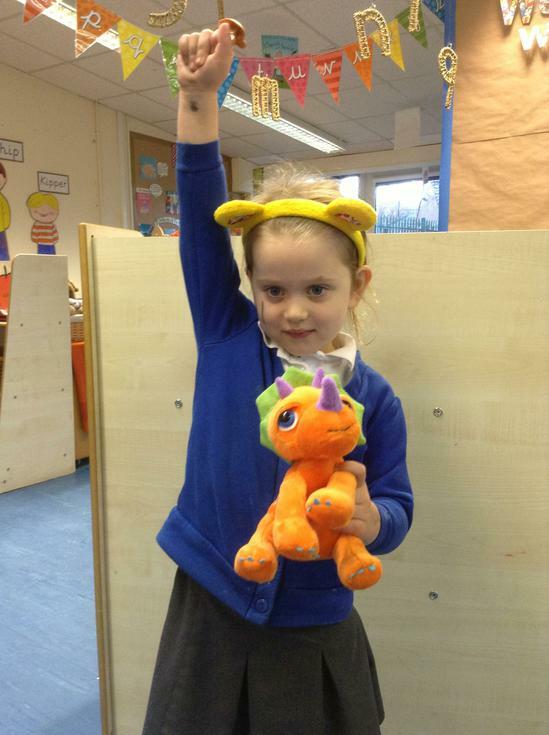 A big well done to the children that completed their rainbow this week! Challenge time! This week we were super excited to start our Rainbow Challenges. 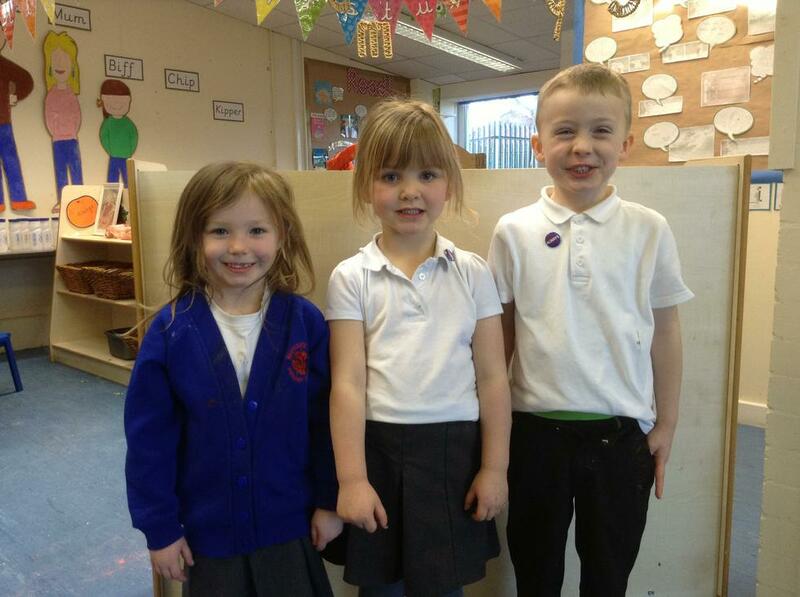 Everyone worked hard to collect their coloured challenge sticks. 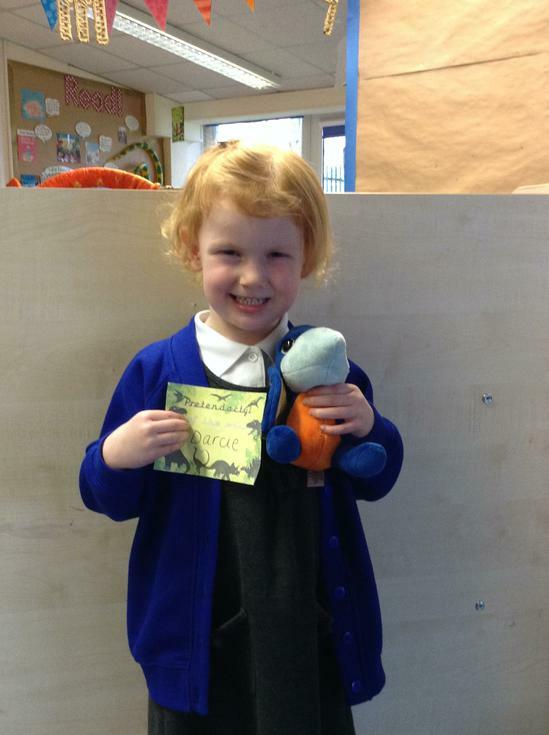 Some children got every colour and were awarded a special rainbow card in Fridays assembly. More information about this will be shared soon. We had a great week using special UV pens to discover invisible words, we developed our fine motor skills by squeezing fresh oranges, lemons and limes and we read the story 'The Snowman' and sequenced pictures from the book! 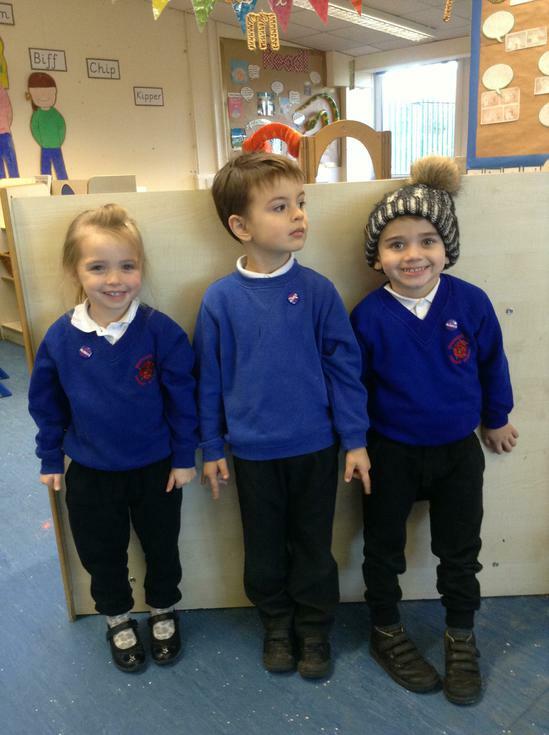 This week Early Years has been chilly! We have set up our very own Arctic campsite and been fishing for our dinner in the role play area for the 'Brr It's Cold' topic this half term. 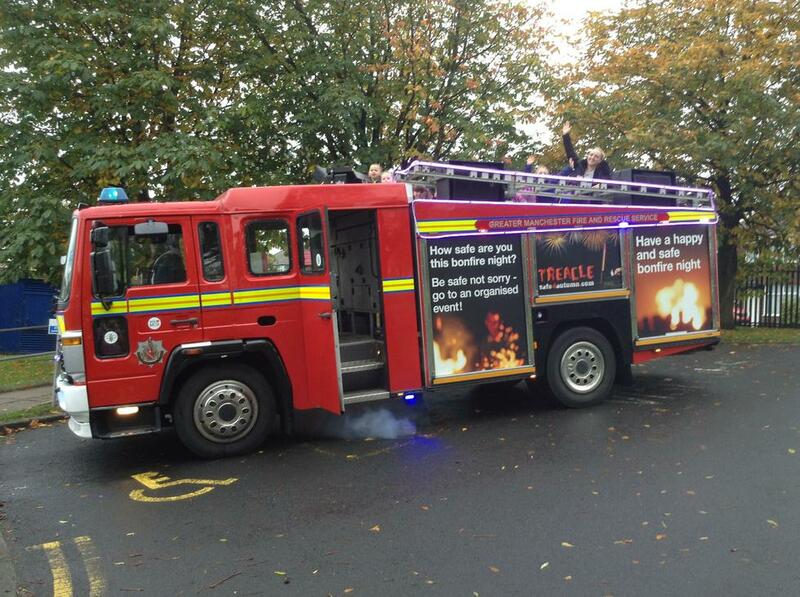 We had special visitors come into school to teach us all about road safety which the children really enjoyed. 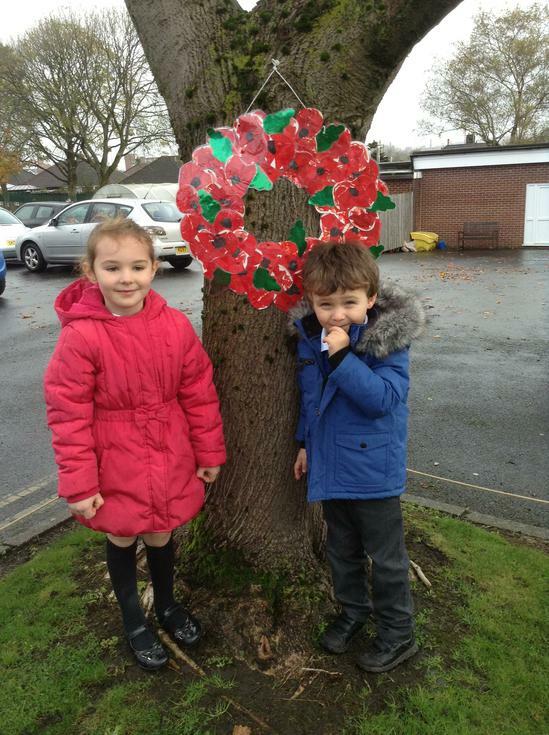 The children also worked very hard making a poppy reef for remembrance day. We want to say a massive well done to all the children for showing such respect during the silence and thank you to all of the parents that were able to join us. This is our final week of the Bucket Fillers topic. 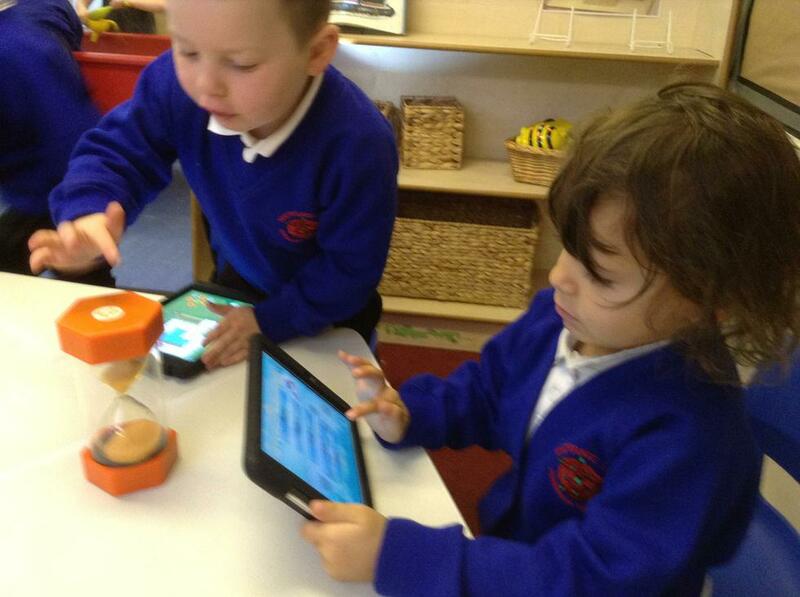 We shared the final buckets and recapped some of the things we have learnt. A massive thank you from the Early Years team for all of the effort that went into putting the buckets together. All of the buckets were wonderful, they really engaged the children and it was great to get to know more about everyone. 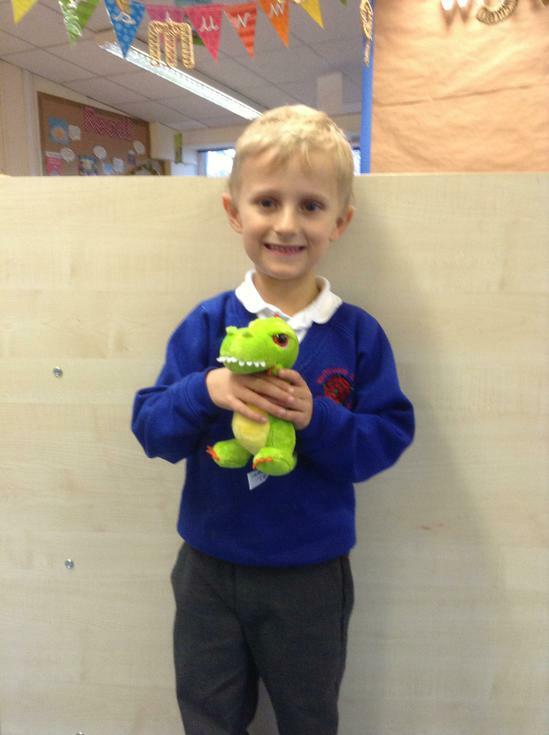 This week we have been learning about how we learn. 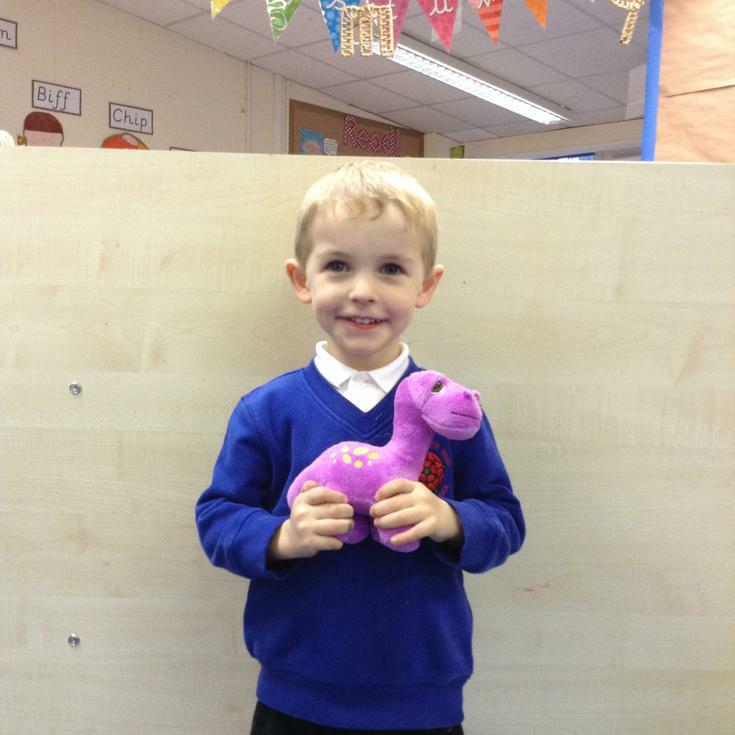 Six dinosaurs delivered in a special box and each is looking for a child who shows a particular characteristic of learning. 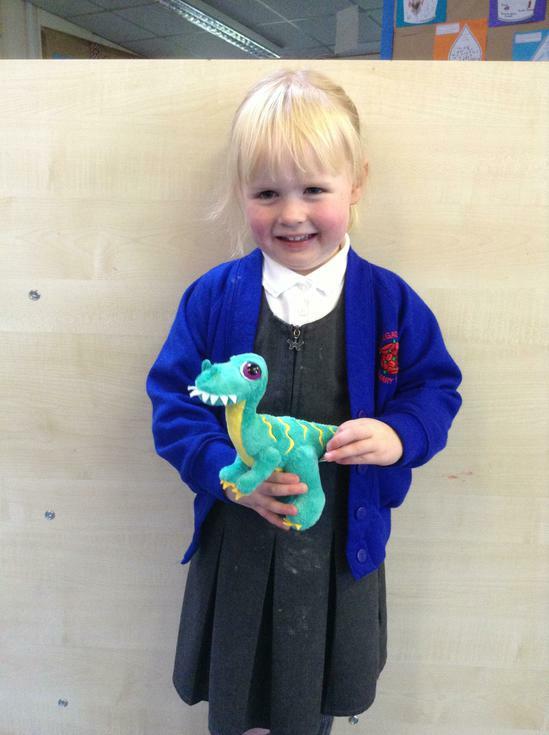 The child who wins this characteristic has their name and picture displayed with the dinosaur for all to see! This week has been super busy. 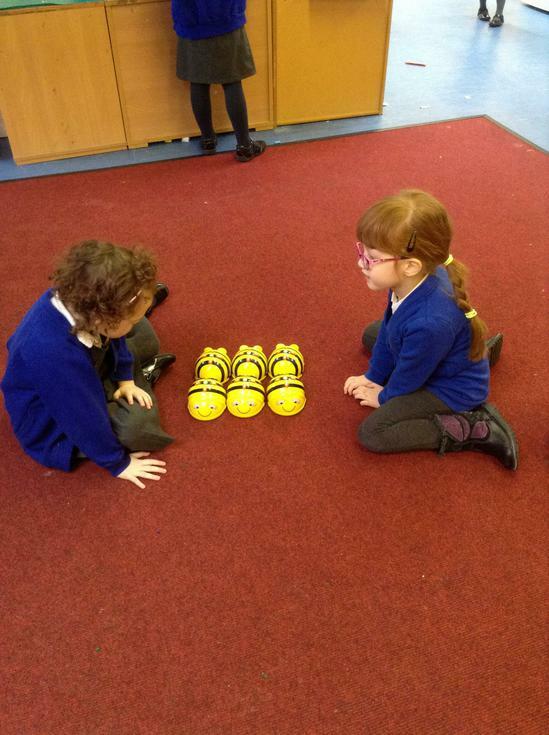 We had four mysterious boxes delivered to Early Years and we had to feel inside the boxes and describe what we though it was. 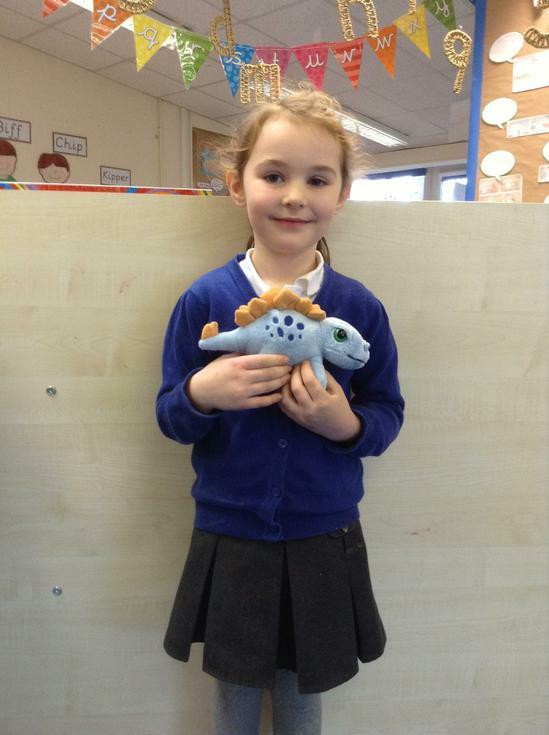 Everyone used fantastic language and described the objects really well using words like heavy, lumpy spiky and soft. Also, we all dressed up for the Emergency Services Day. 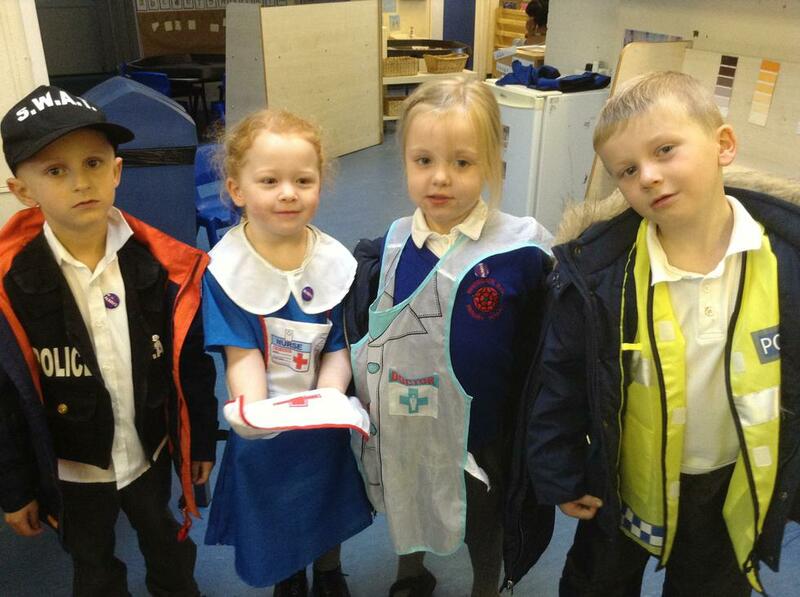 Early Years was full of Doctors, Police, Firemen/women and many more! 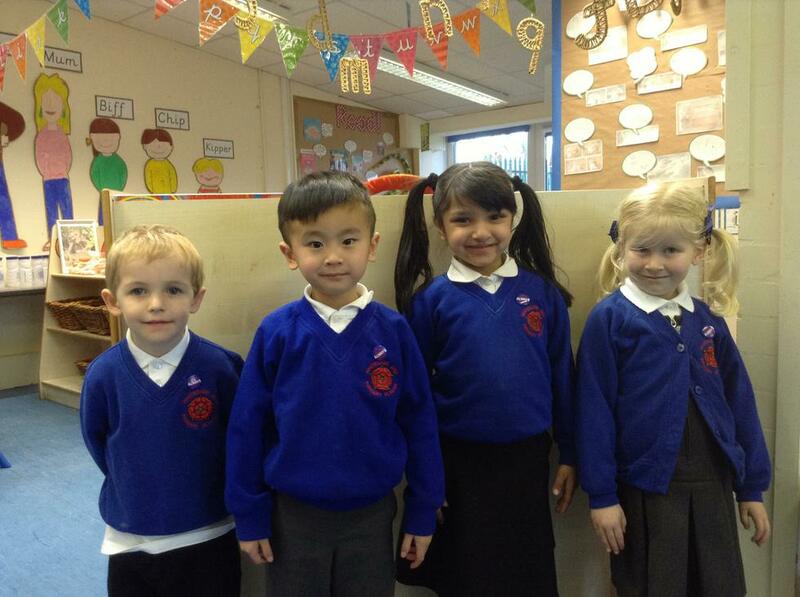 We had such fun showing off our outfits and spent much of the day rescuing friends in role play. 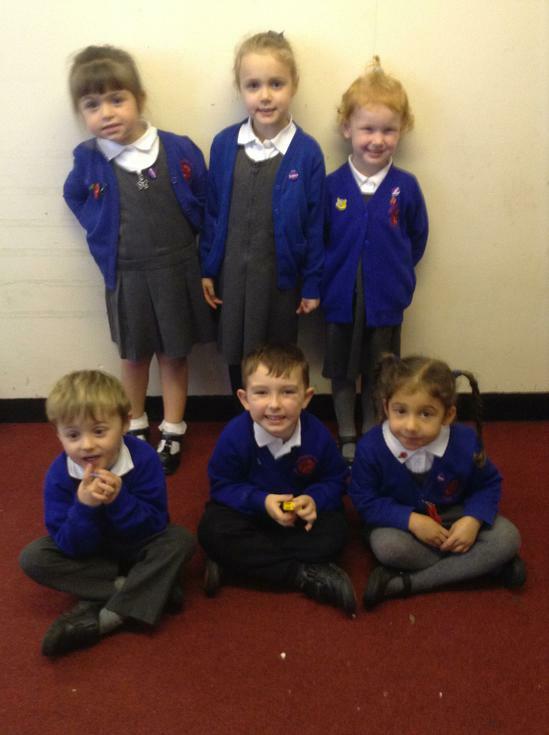 Finally, four Nursery and four Reception children were awarded their Always badge. What a fab week! 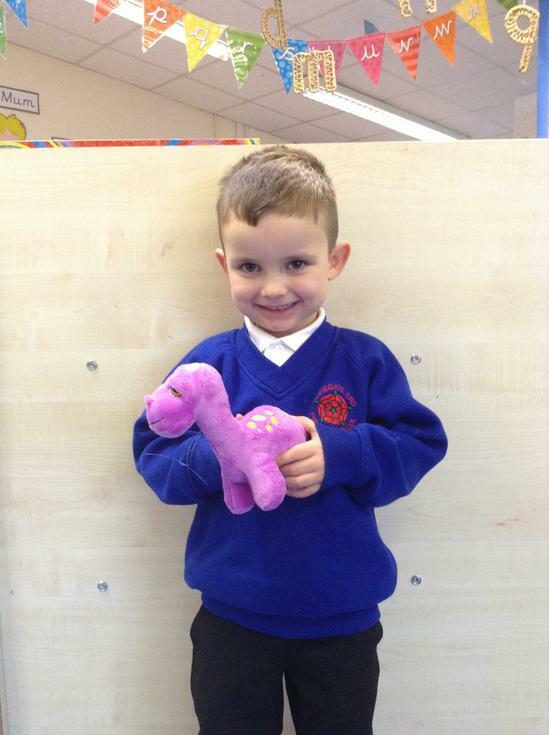 Each week is just getting better and better in Early Years! 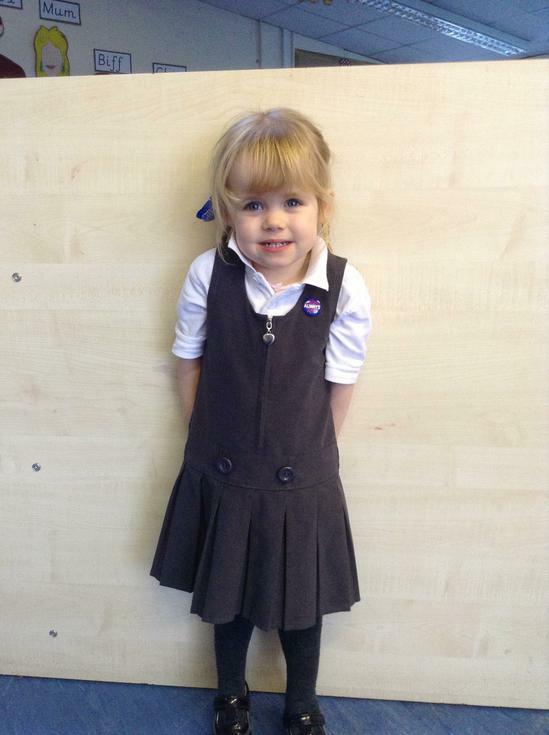 Nursery are settling into their school day with a smile and embedding the school day routine brilliantly. 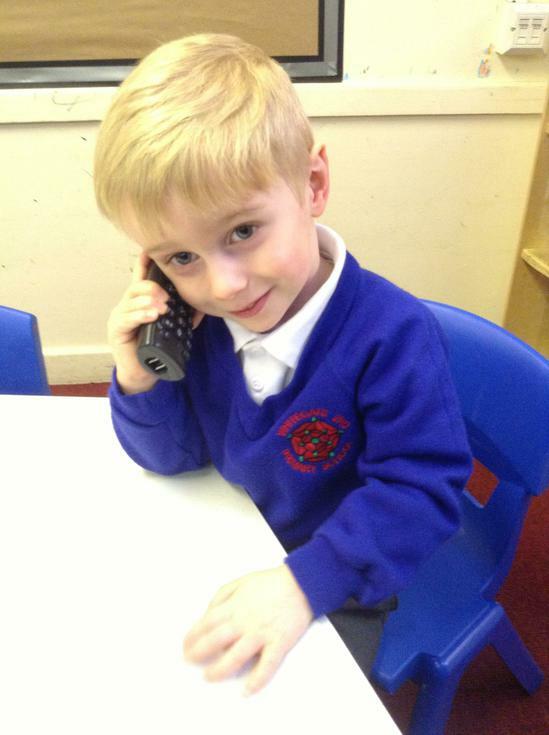 Reception are adapting to new changes too, they have been working very hard getting changed for PE and are becoming much more independent. 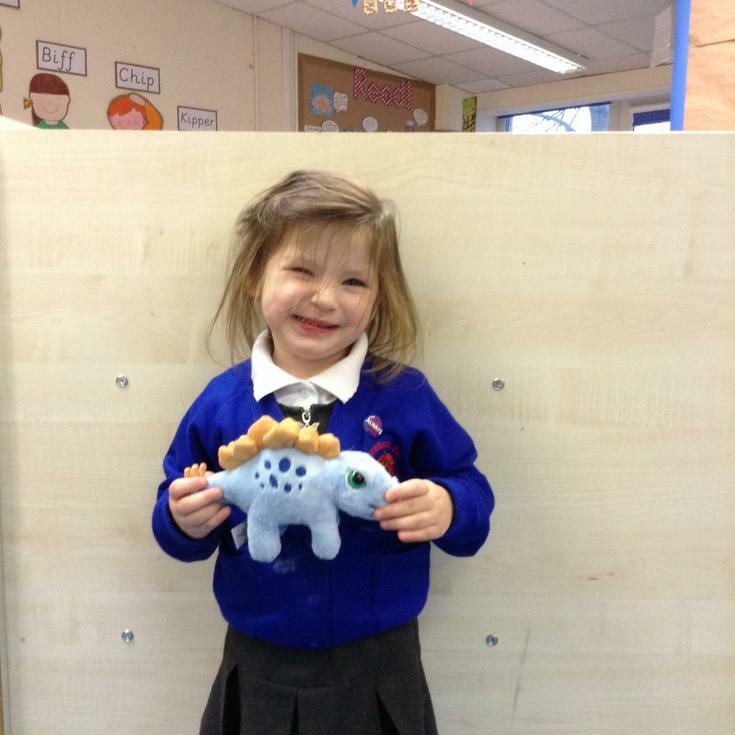 This week we made our own very own play dough and designed a play dough cake for the MacMillan Coffee morning. We also got messy painting some pictures to display and had a go at drawing still life parsnips! 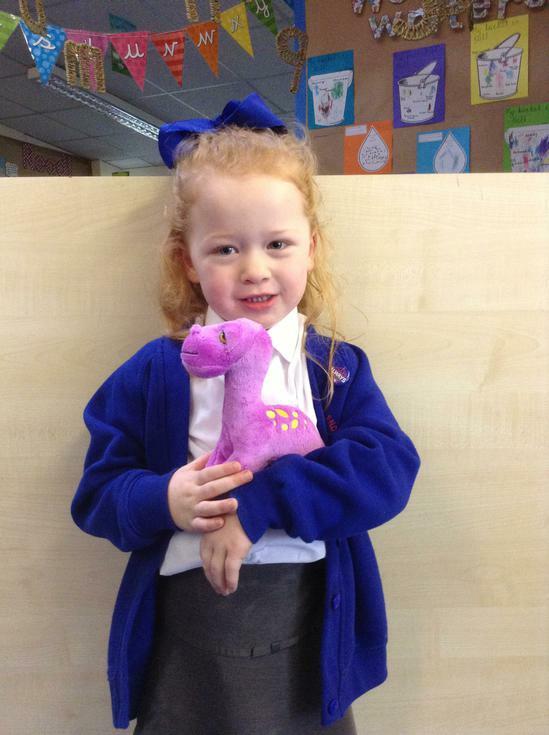 Well done everyone another great week! 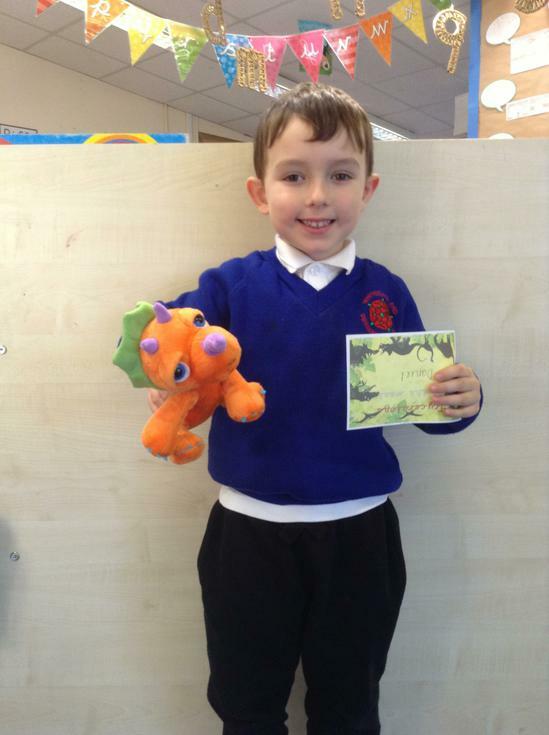 Reception are super excited to have received their first reading books this week! 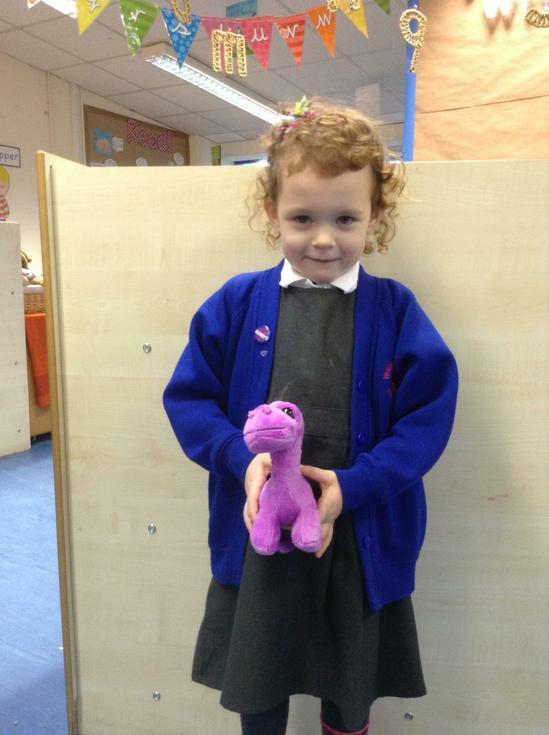 We are also pleased to see our first set of children bringing their happy buckets into school to share personal items with the other children! Both Nursery and Reception have become writers and mark makers this week by drawing and labelling what a bucket filler looks like. 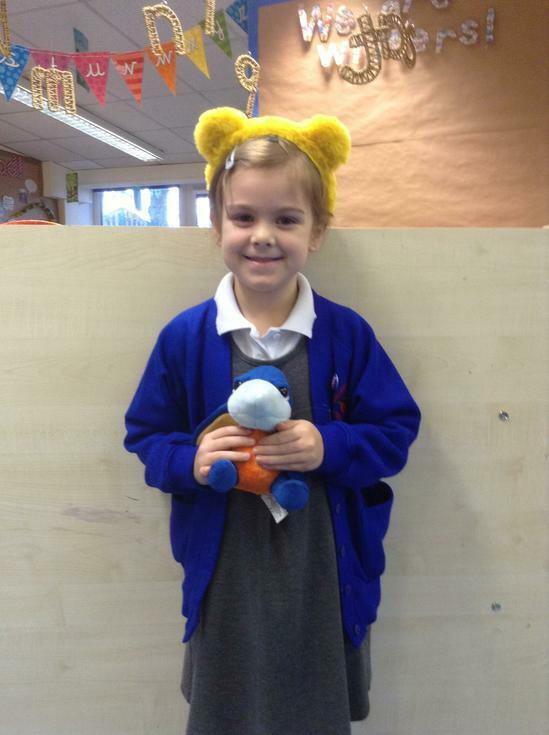 Also, we had our first Tatty Teddy diary entry come back this week. 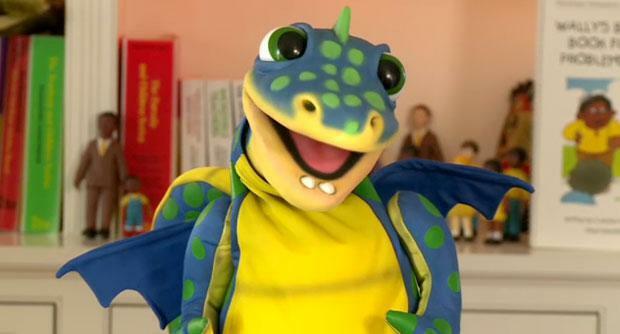 It was wonderful to see his first adventure and I wonder where he will be going to next? 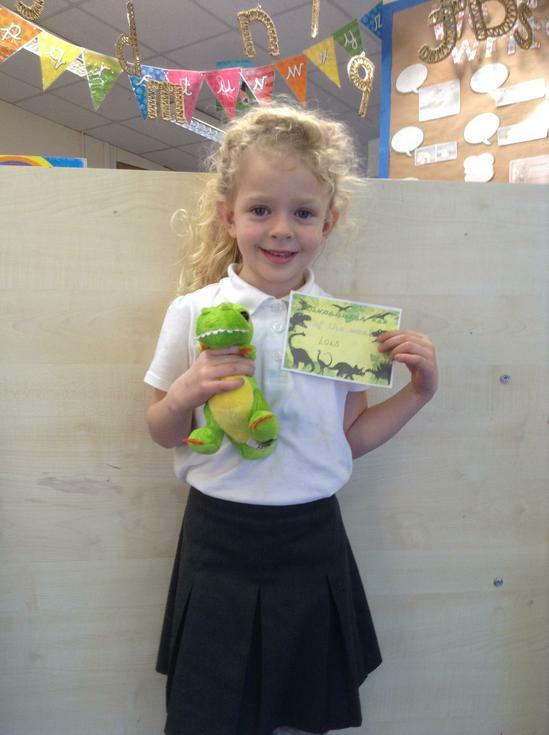 Another fantastic week this week.. We have been super busy exploring how to be an 'Always child'. 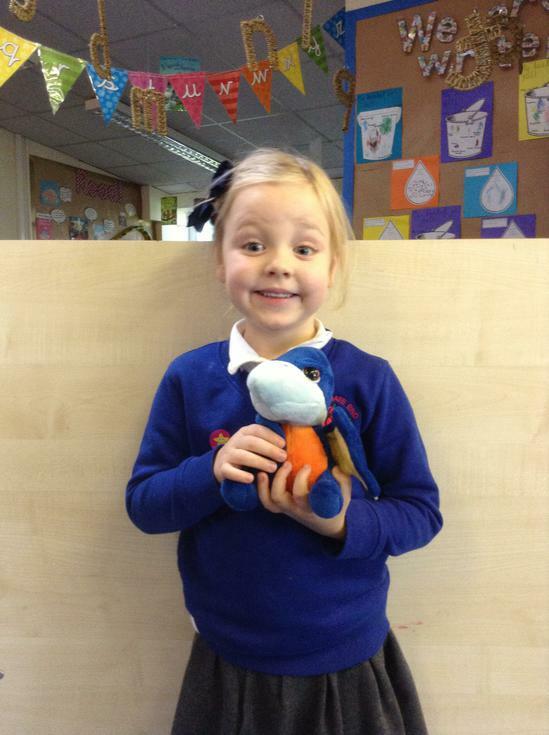 Each child has been allocated an owl and when it reaches the top of the tree they will be awarded with an Always badge. 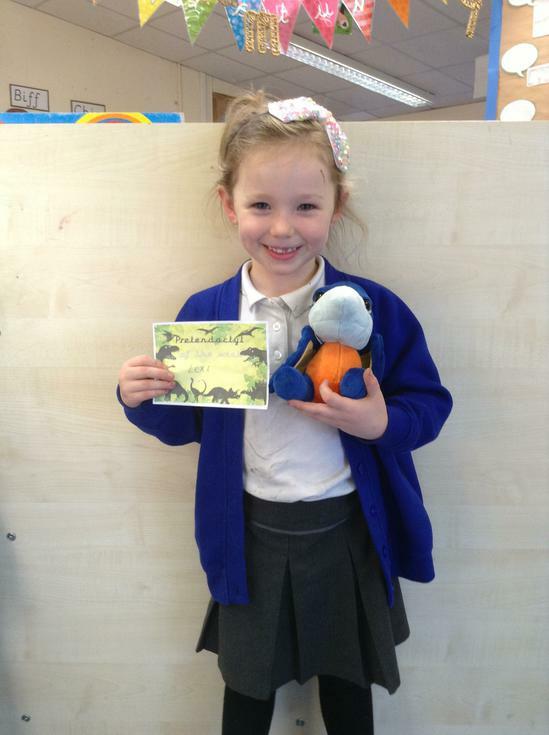 We are really pleased to have read our topic book for this term, Have you filled a bucket today? by Carol McCloud and discussed how to be a bucket filler during circle time. 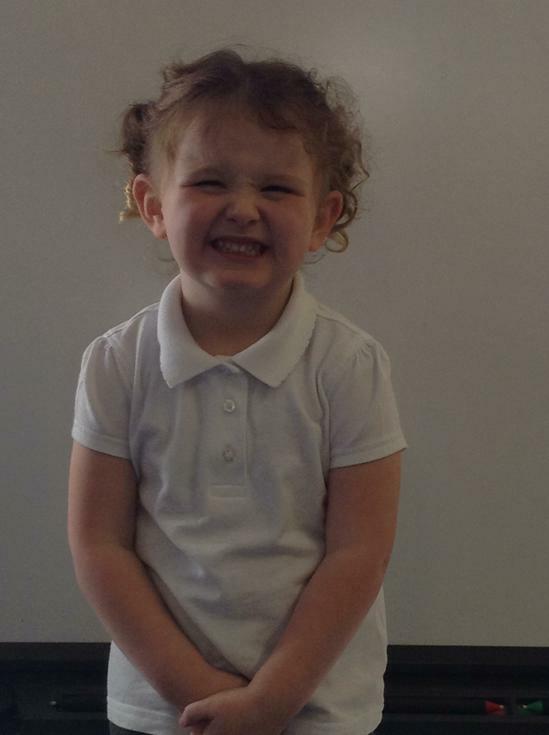 Finally, EYFS are getting fit this year... We have attempted our first mile run! We did a little bit of running and walking but we are confident next week we will run for longer! "We play with kind hands"
"We read stories to our friends"
"Have good manners and share"
Wow what an exciting first week?! The children have spent the week familiarising themselves with the routines, rules and boundaries within the EYFS setting. 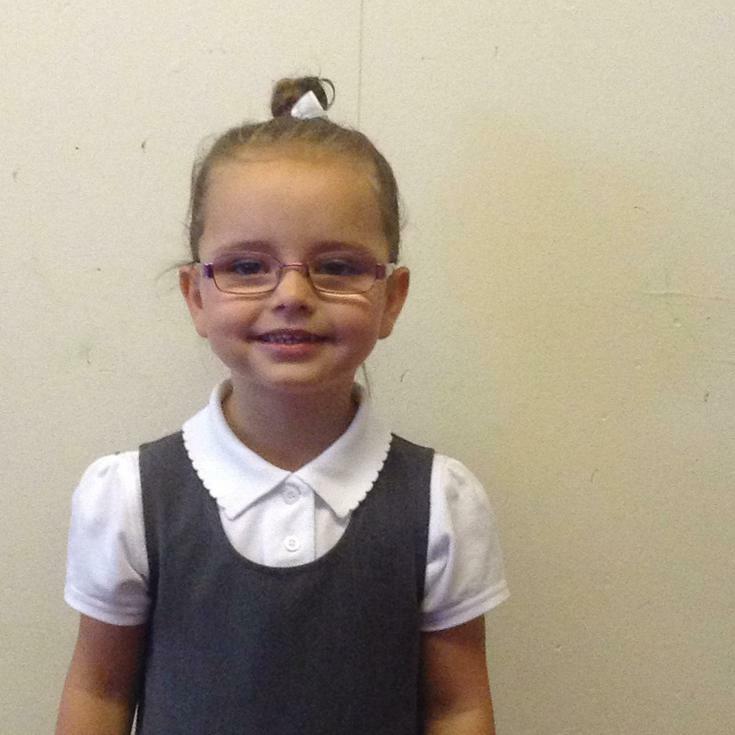 We were super impressed to see so many children having a go at self registration and coming into school with a smile ready for the day. We started each morning with a circle time discussing how to keep safe and completing the Early Years Safety Checklist. 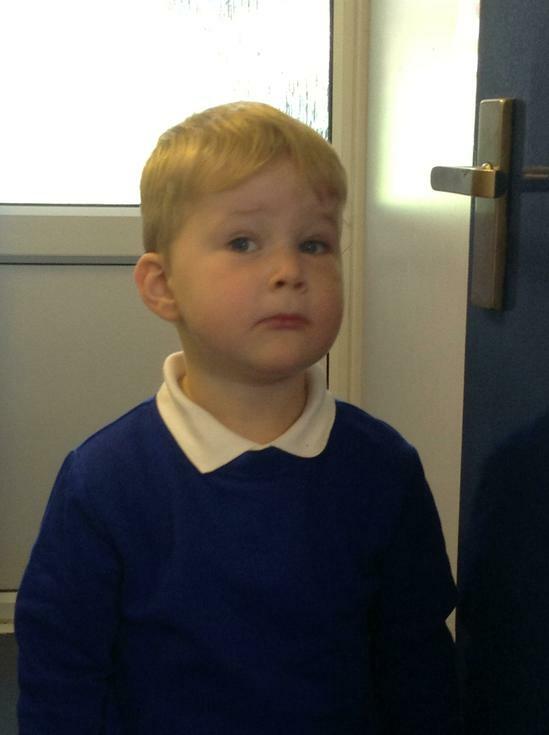 We had group tours around the various areas within the classrooms and have begun to explore the exciting resources. 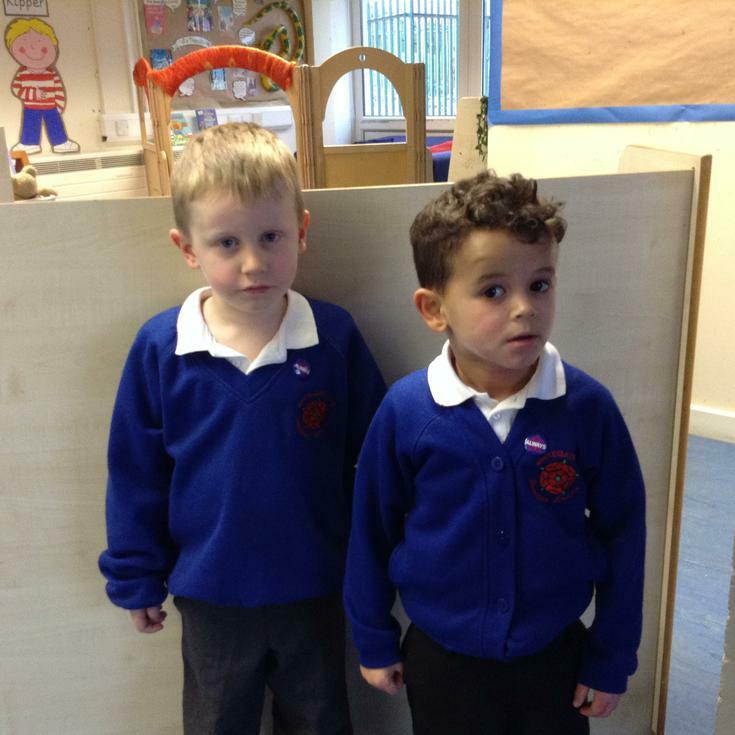 We had so much fun making self portraits in the 'make it' area and everyone looked super smart so we had our pictures taken too!